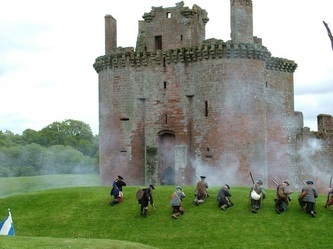 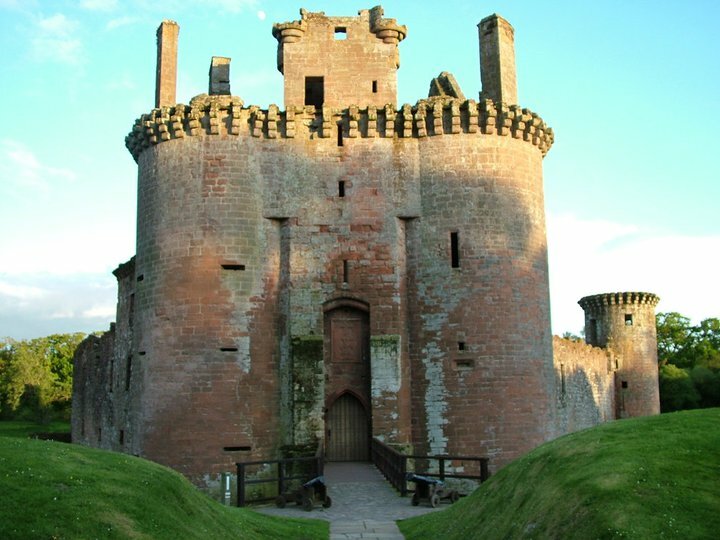 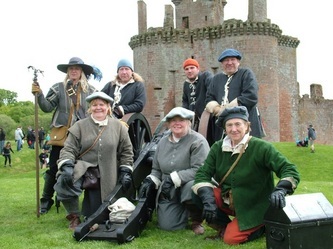 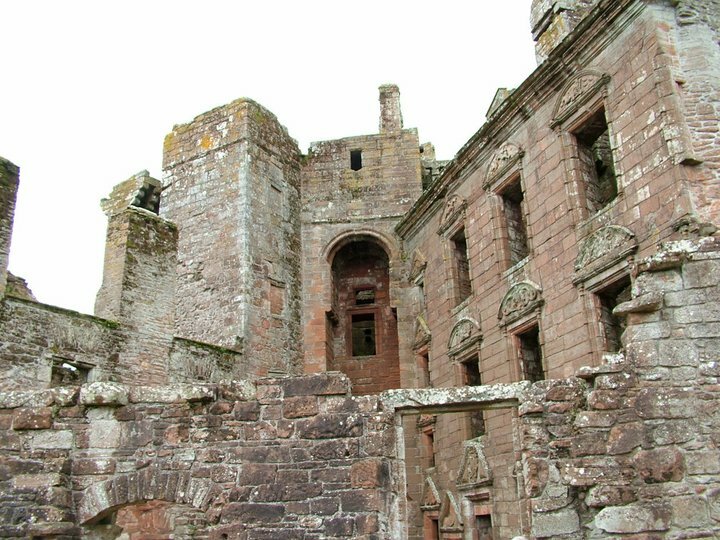 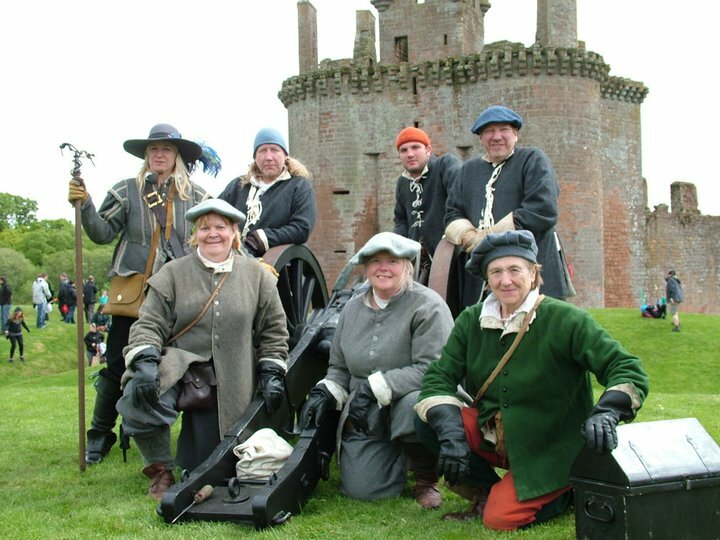 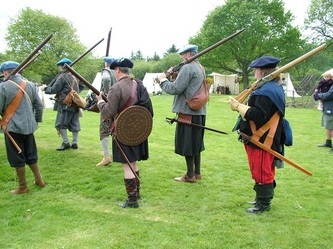 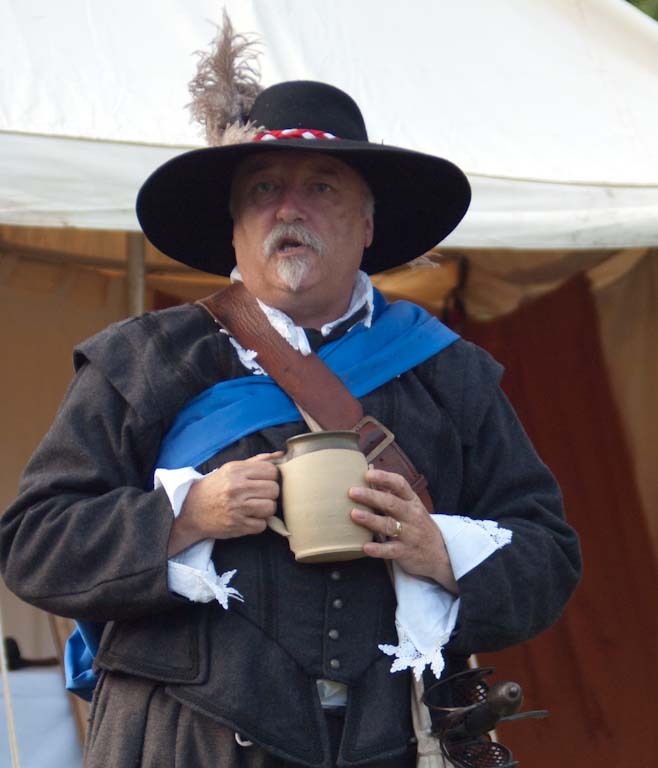 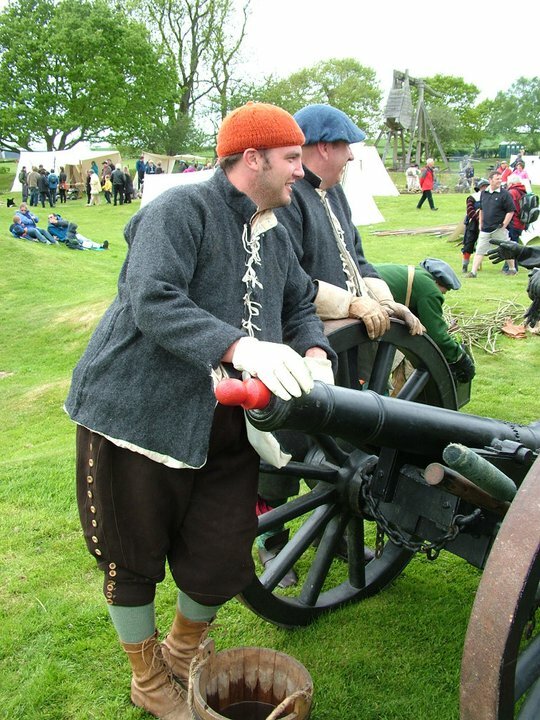 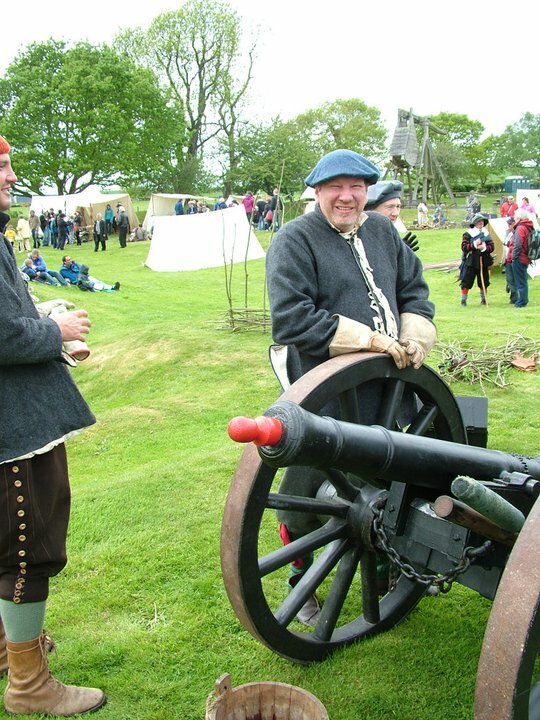 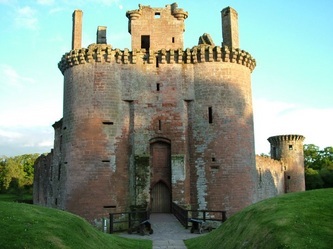 We all donned the grey coats and blue bonnets of the Scottish Covenanter Army and joined our good friends Fraser's Dragoones for a weekend of 'Siege and Storm' at Caerlaverock Castle near Dumfries. 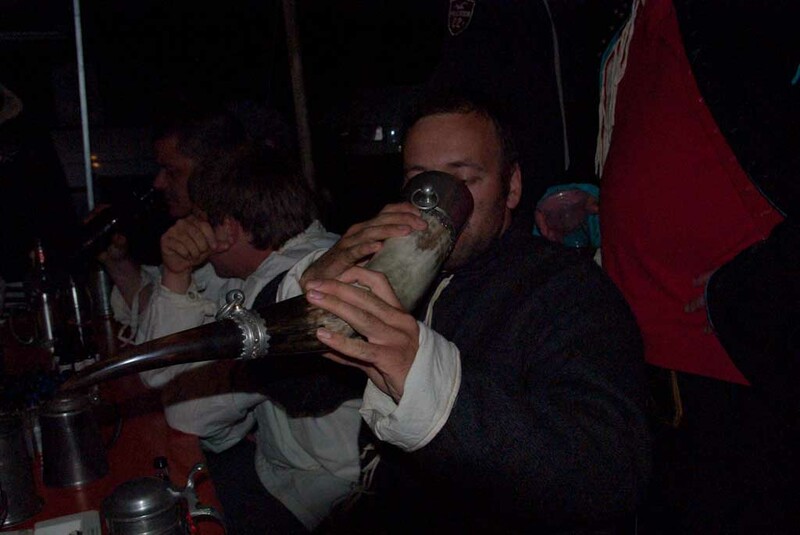 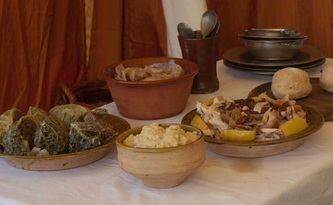 These photographs are the copyright of Ruth Lochrie. 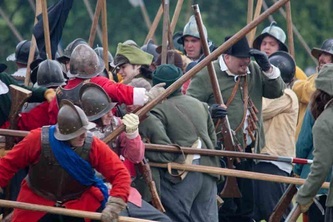 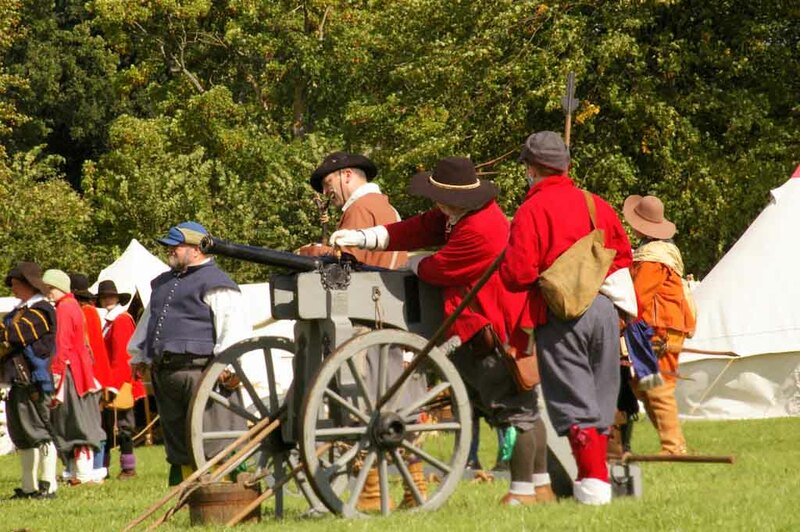 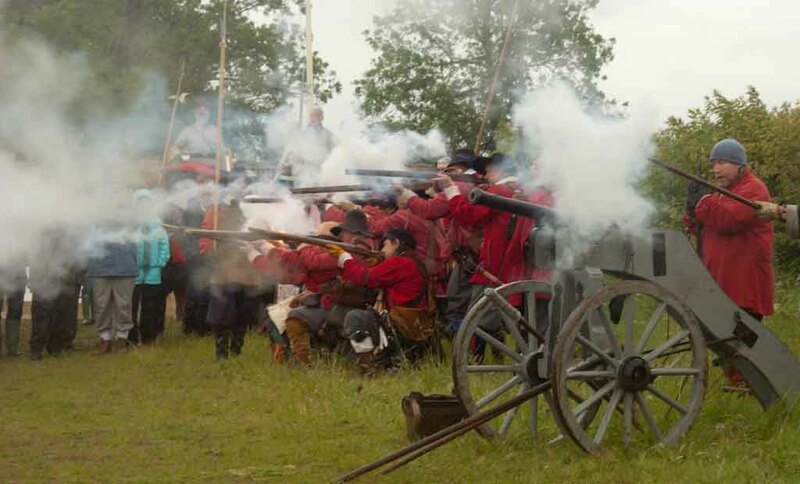 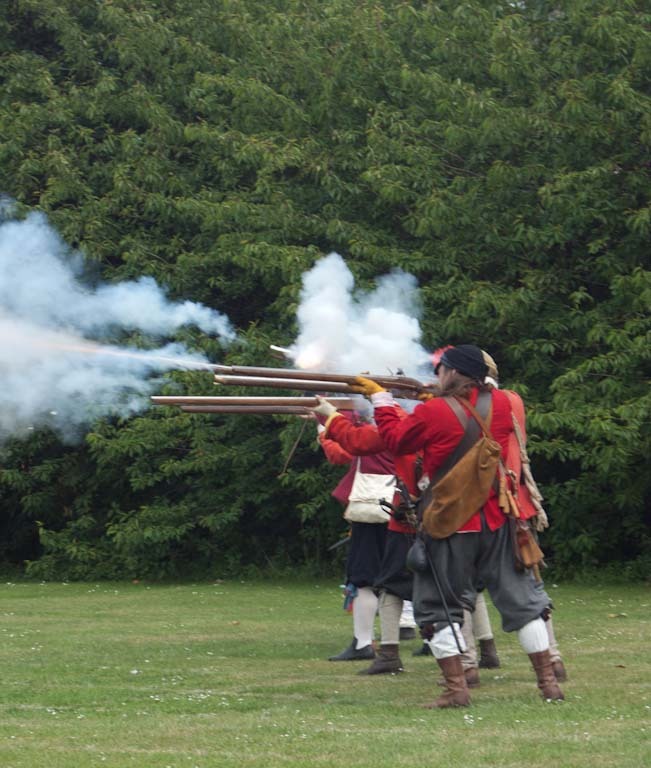 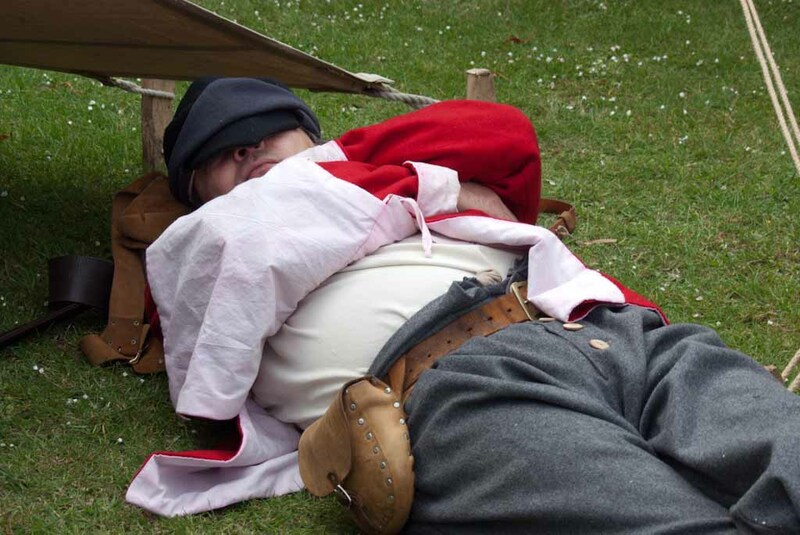 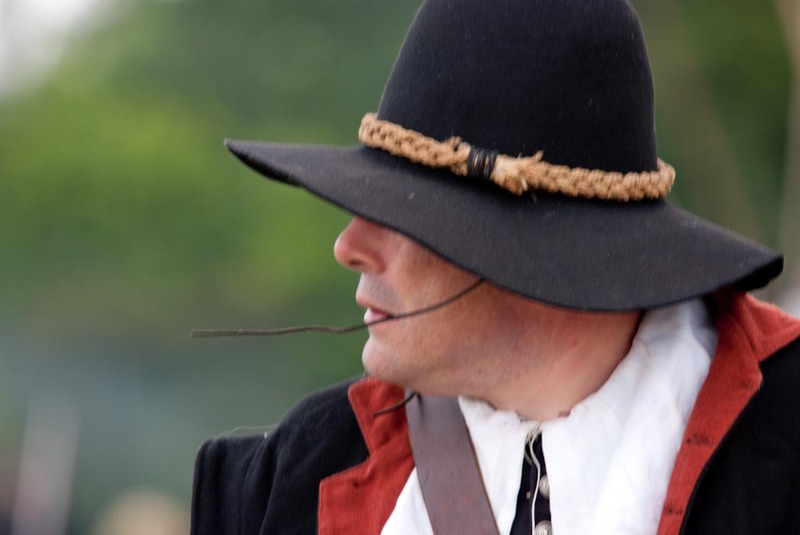 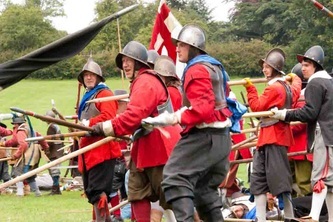 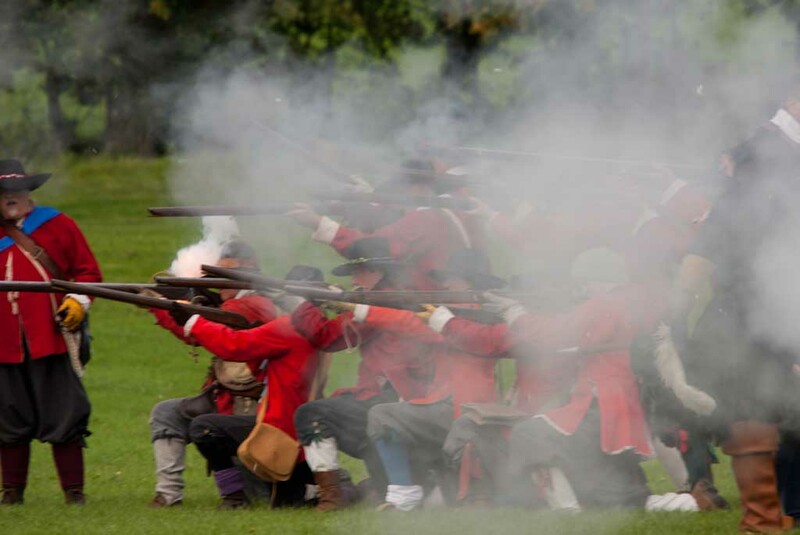 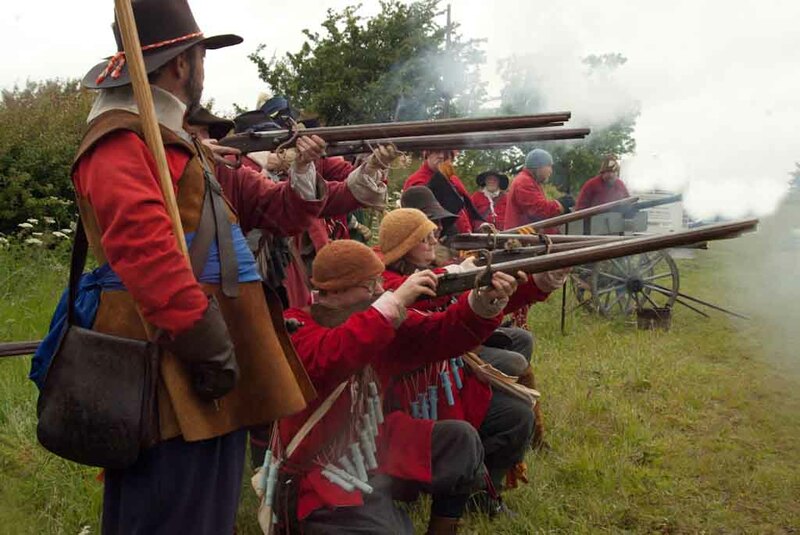 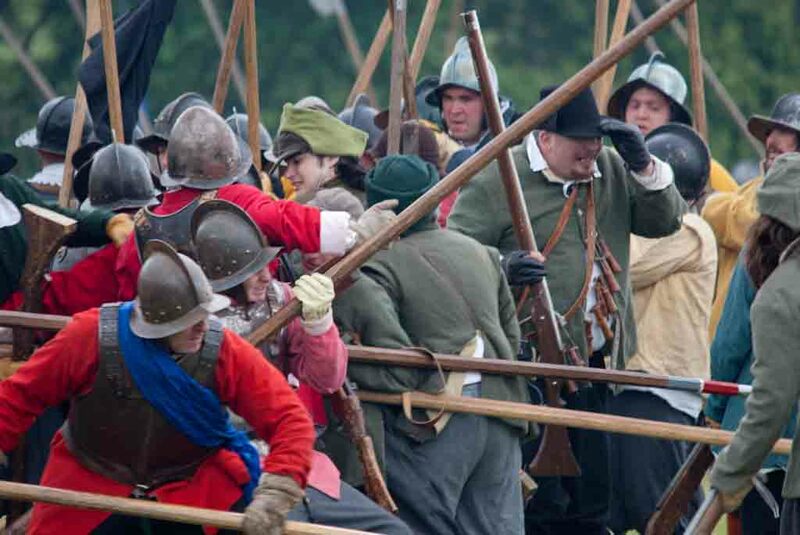 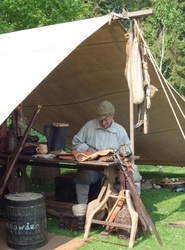 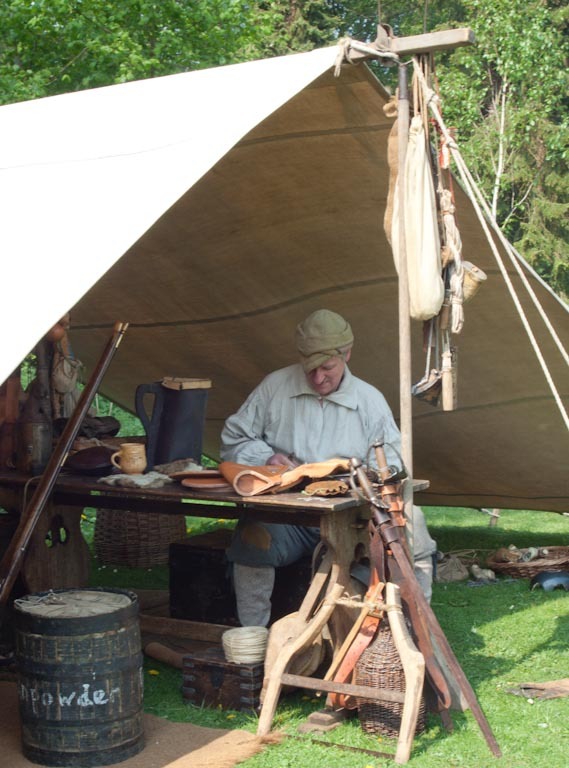 These images are of Hammond's in action on the Living History Camp, and also on the Battlefield reenacting the Second Battle of Newbury. These photographs are the copyright of Rusty Aldwinckle. 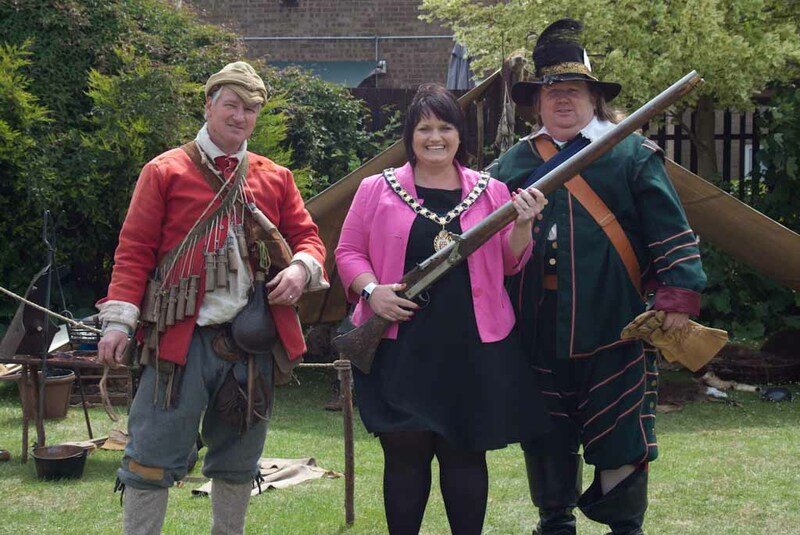 These photographs record a small event in support of the opening of Corby Heritage Centre for Corby Borough Council. 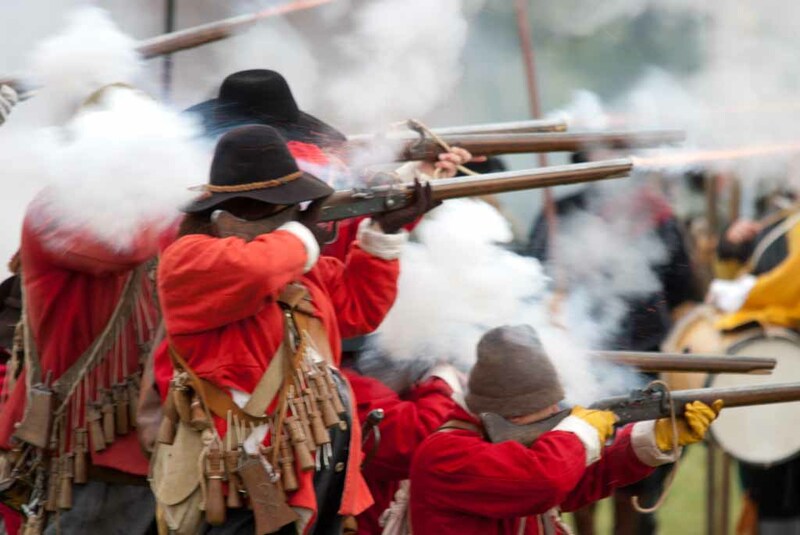 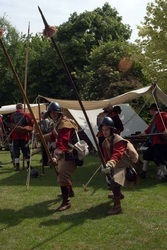 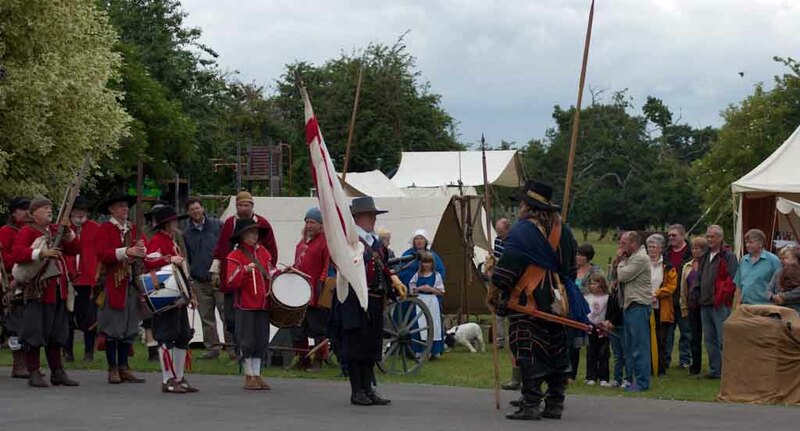 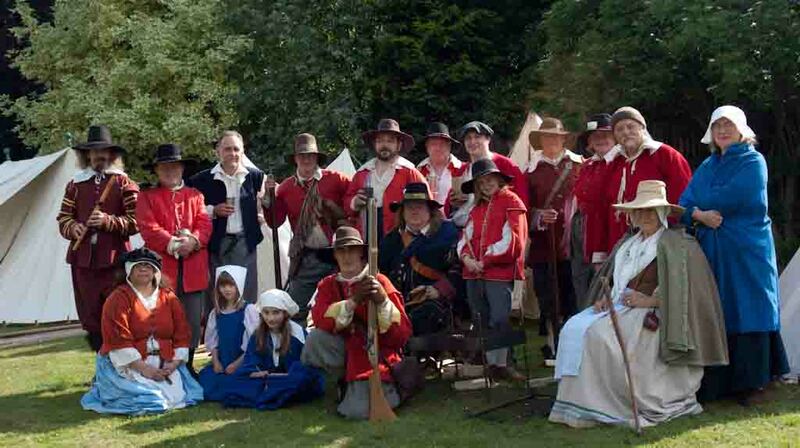 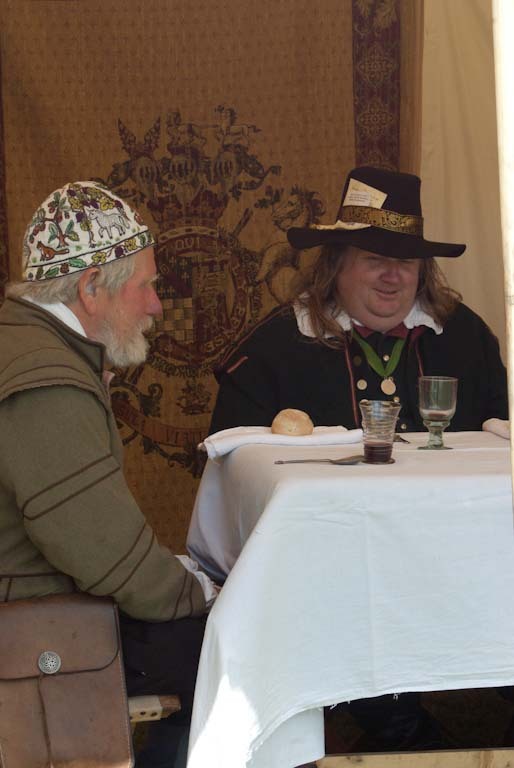 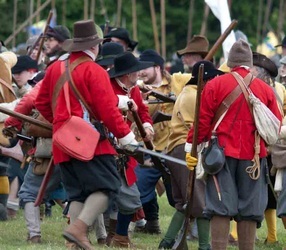 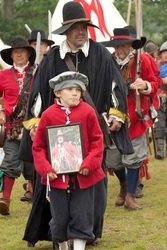 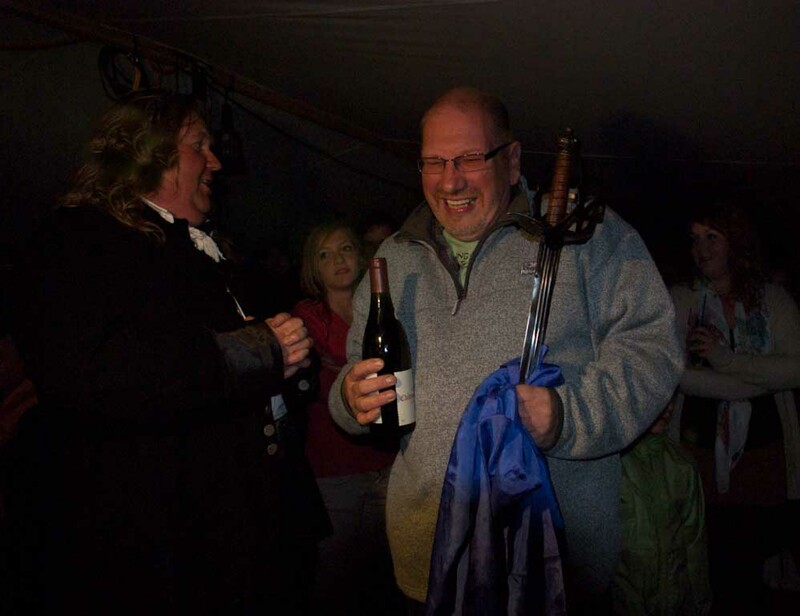 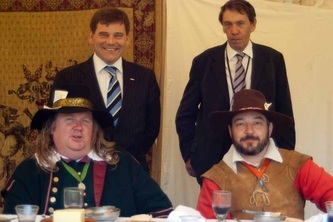 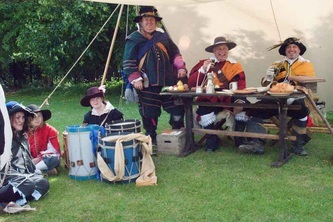 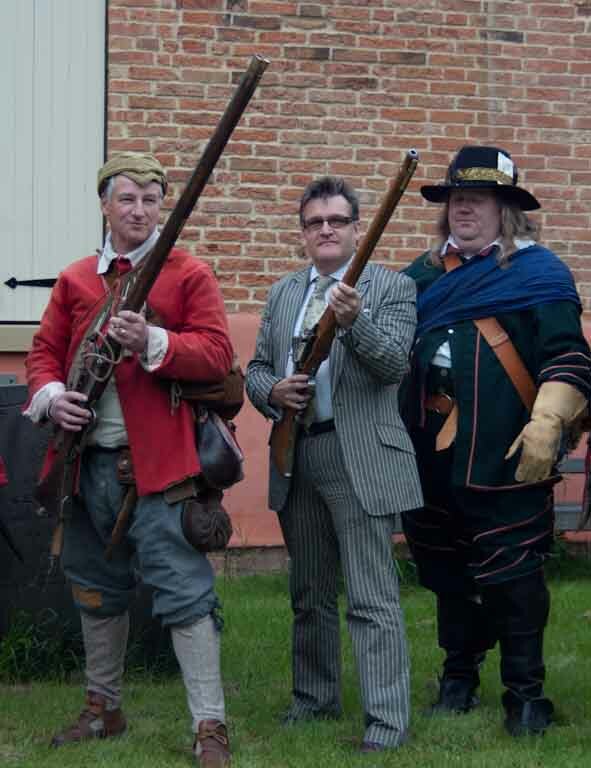 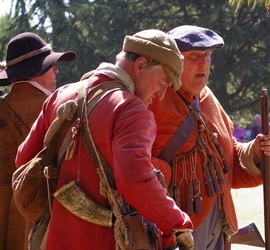 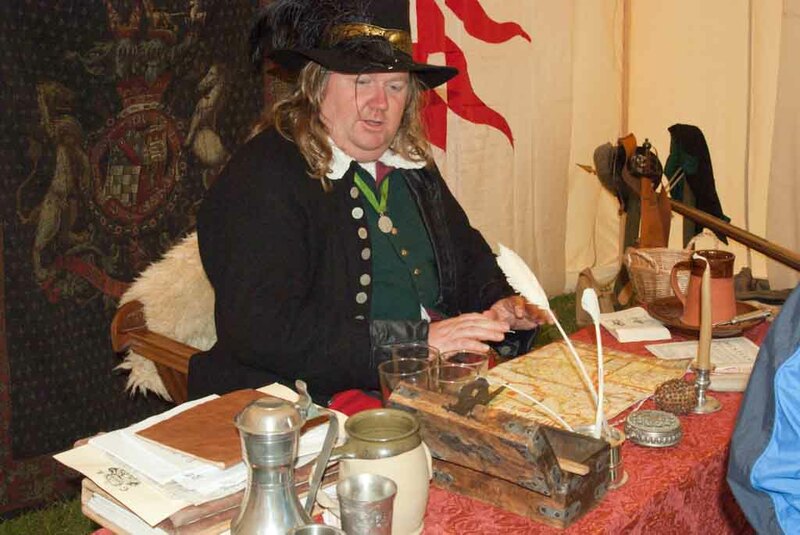 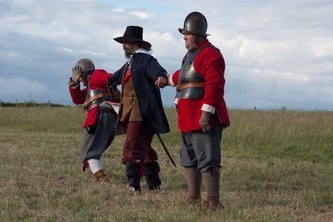 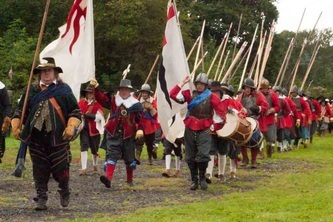 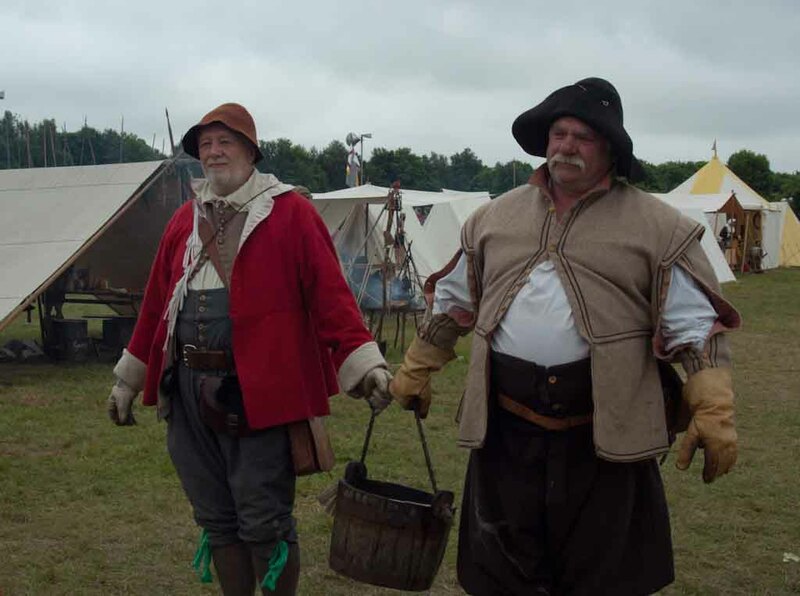 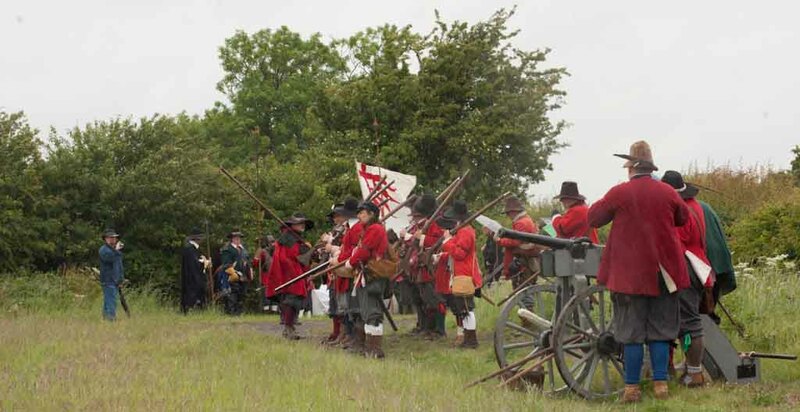 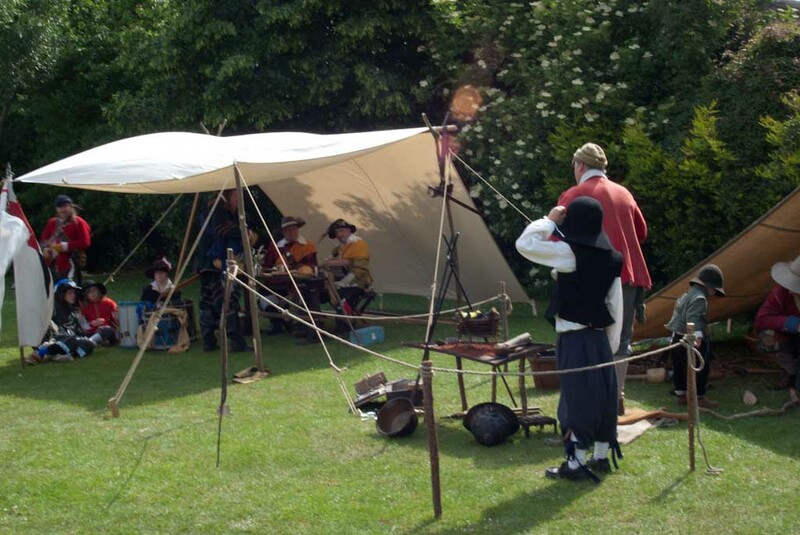 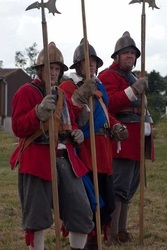 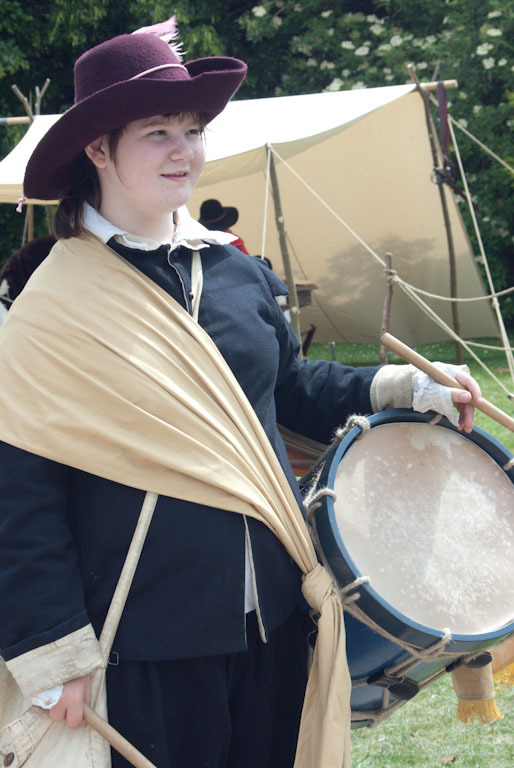 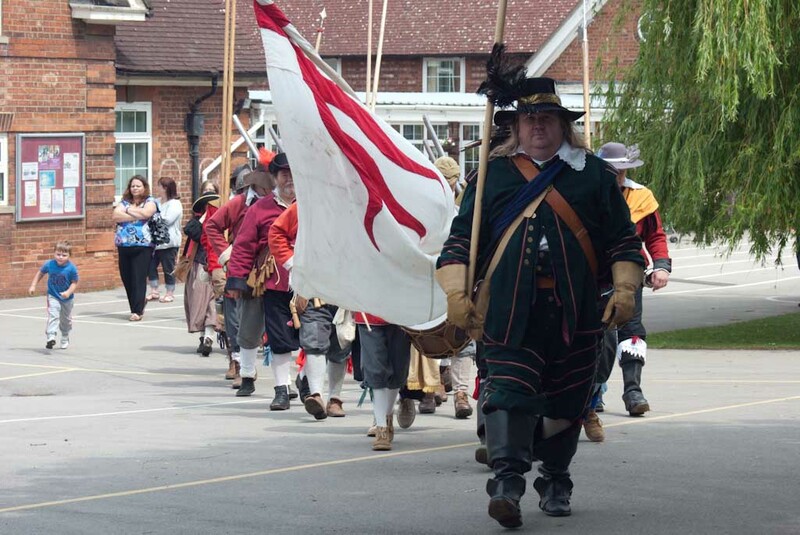 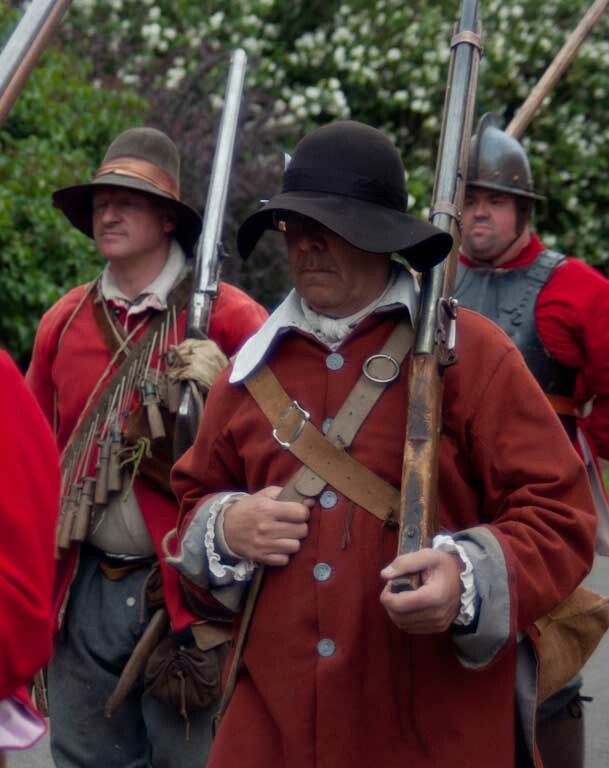 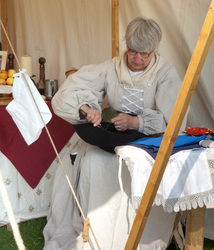 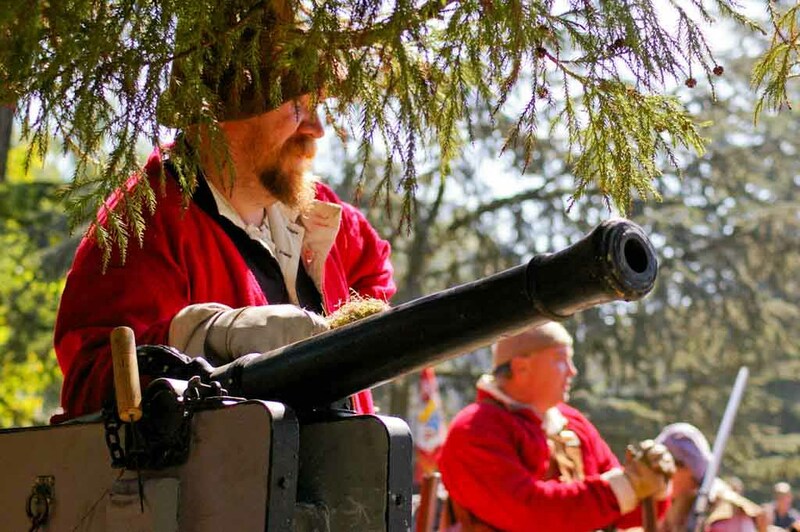 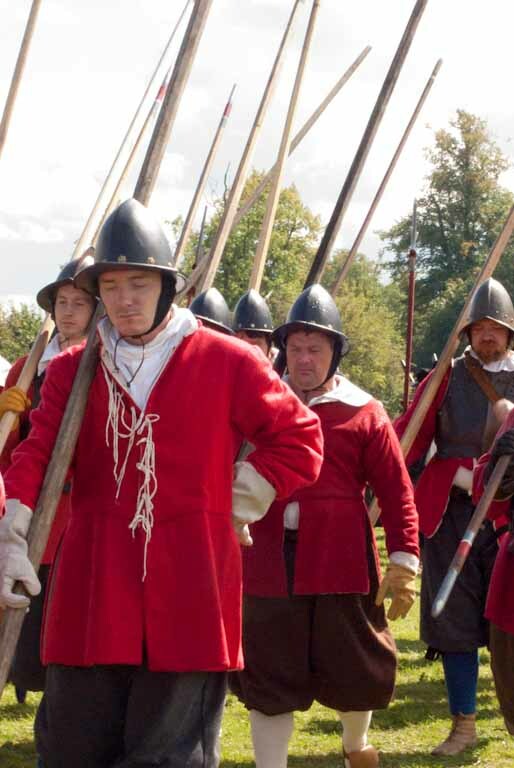 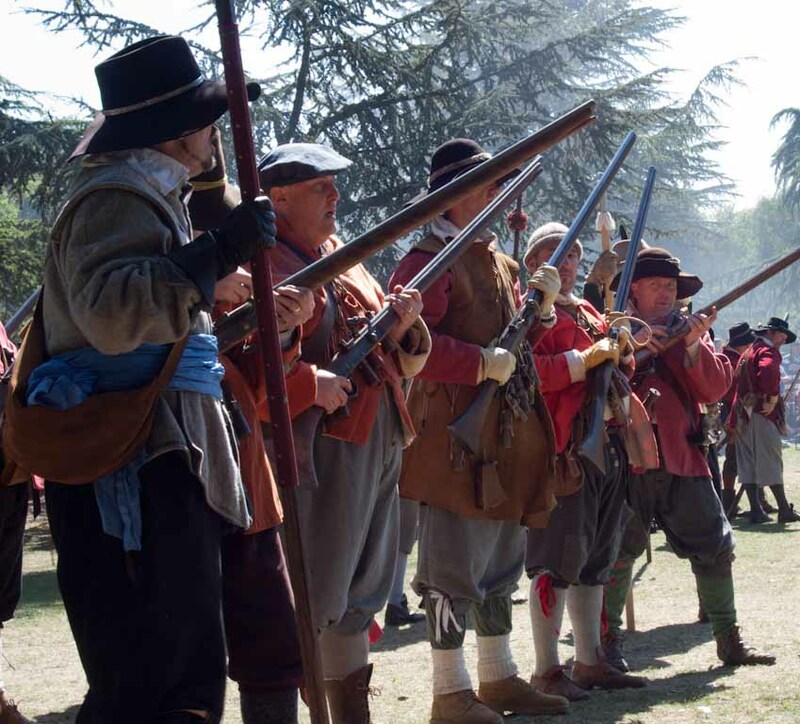 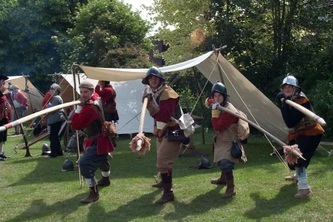 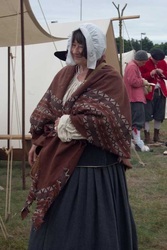 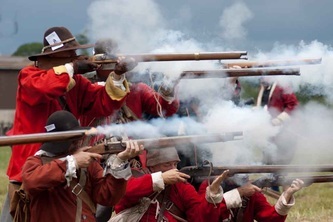 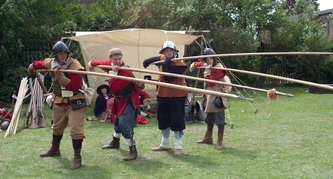 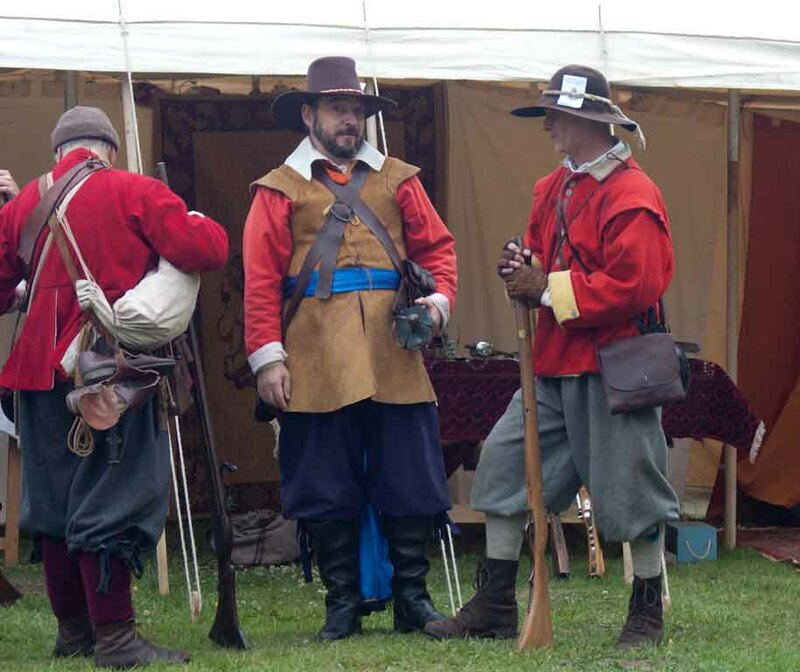 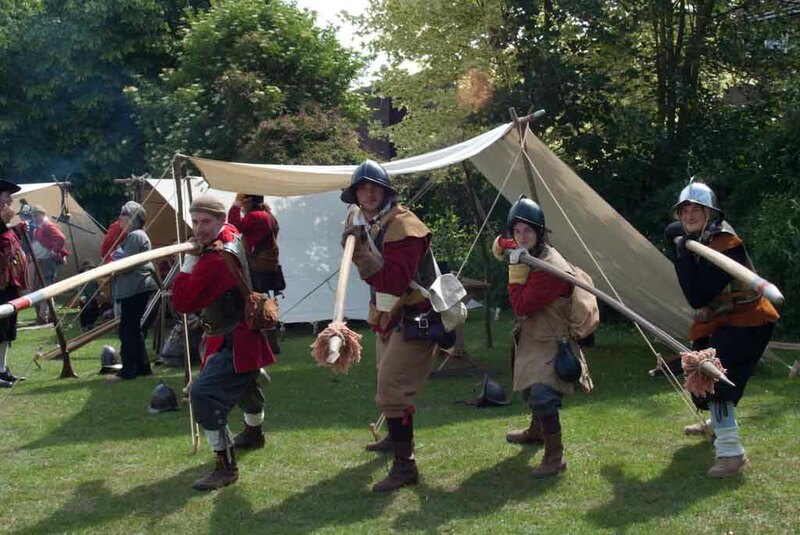 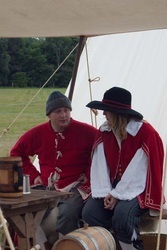 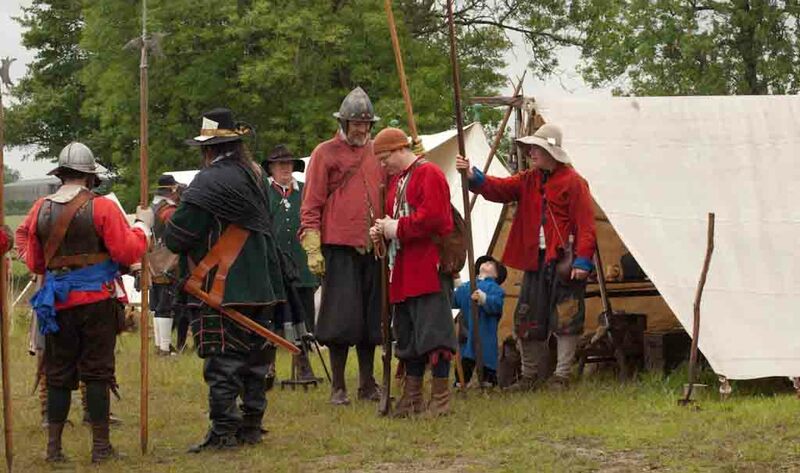 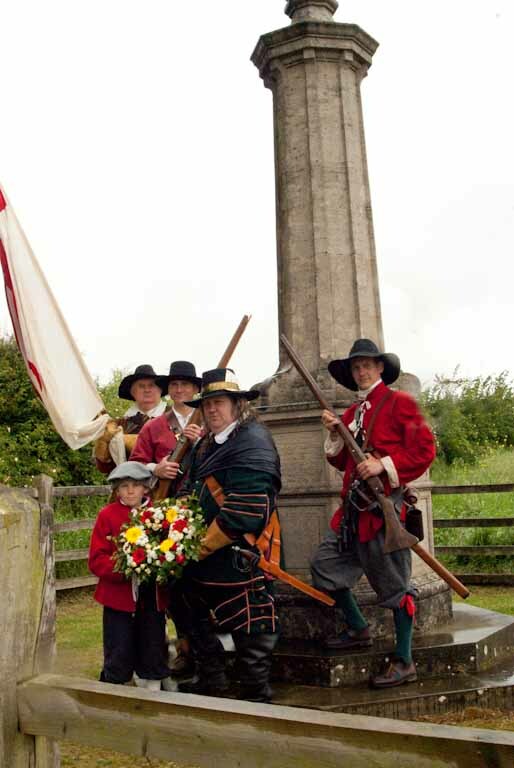 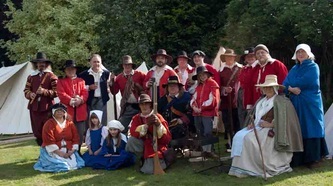 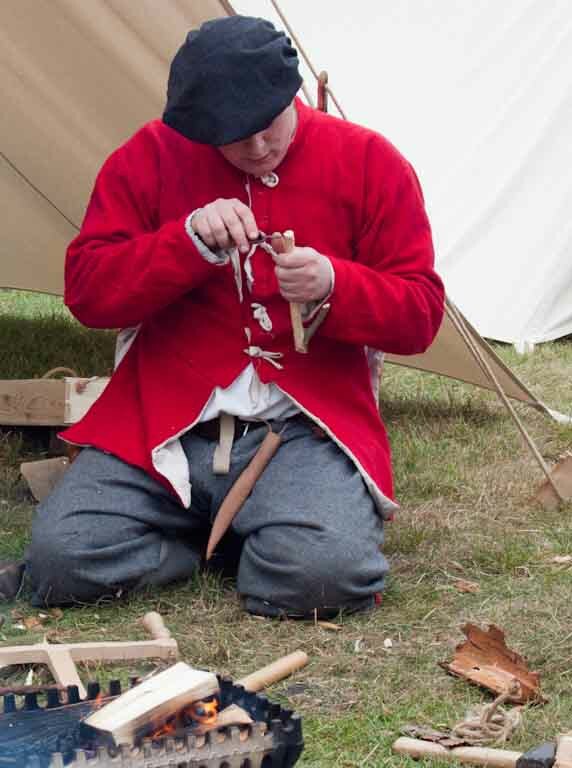 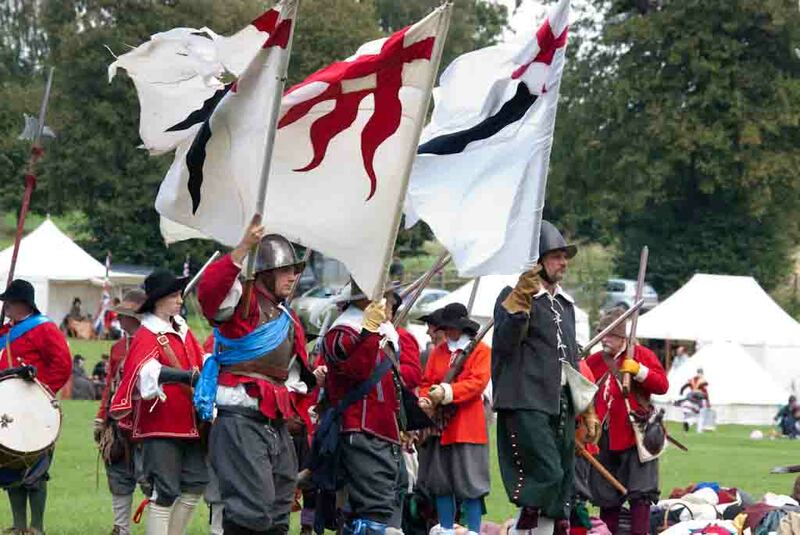 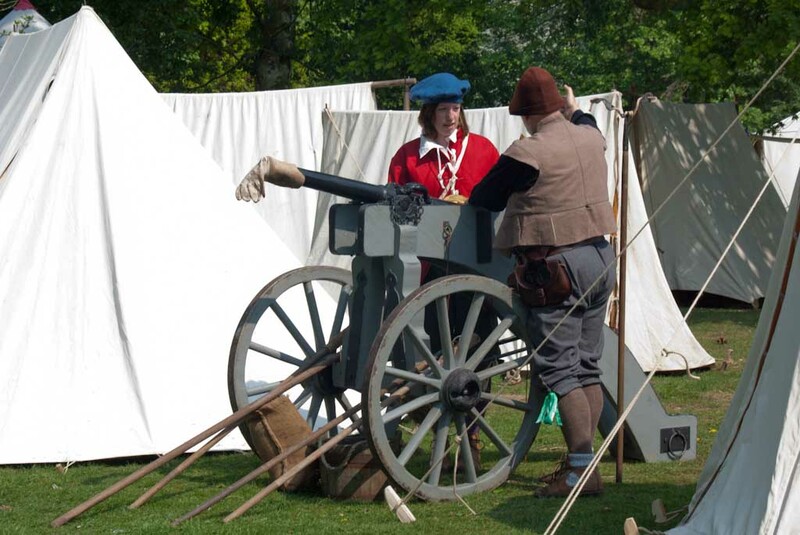 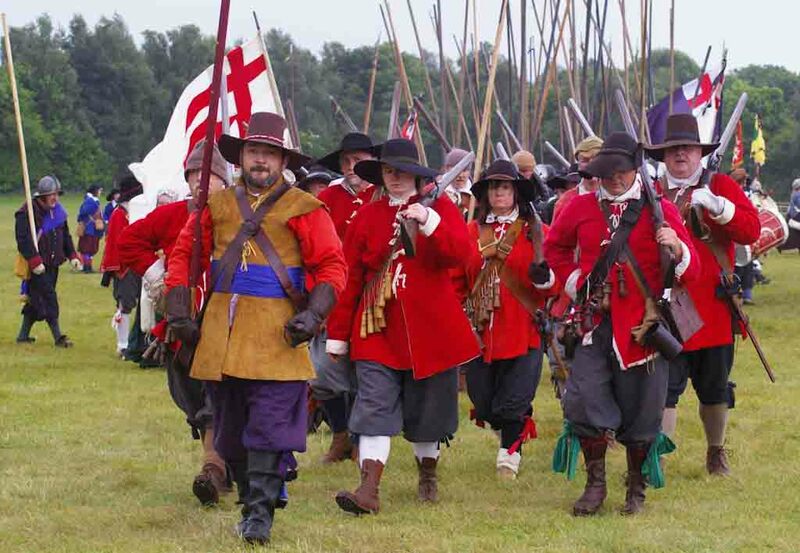 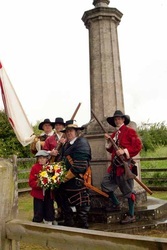 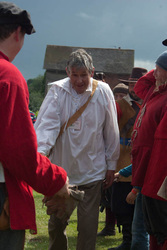 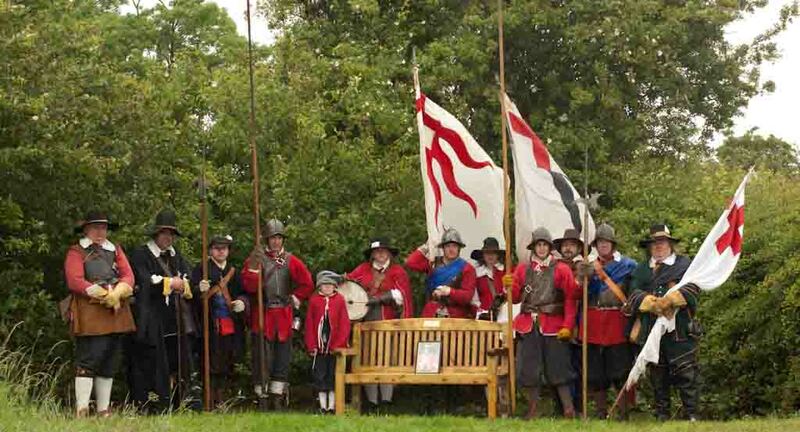 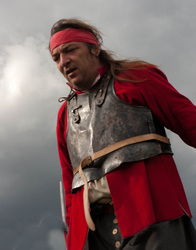 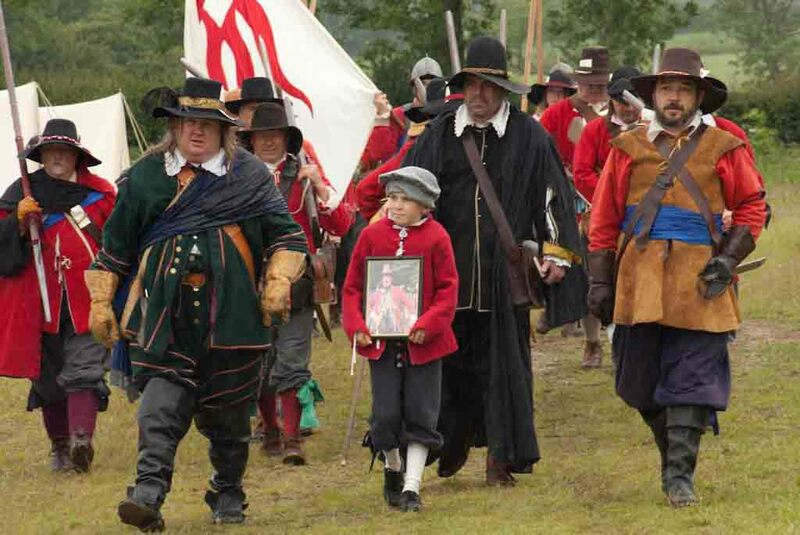 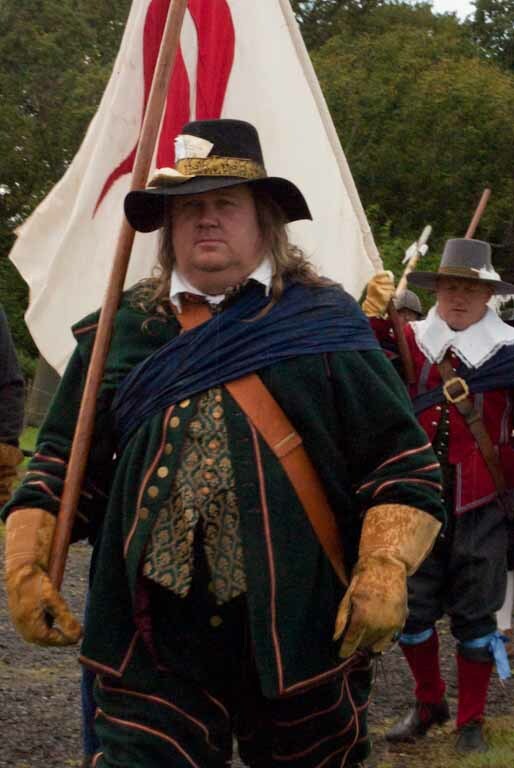 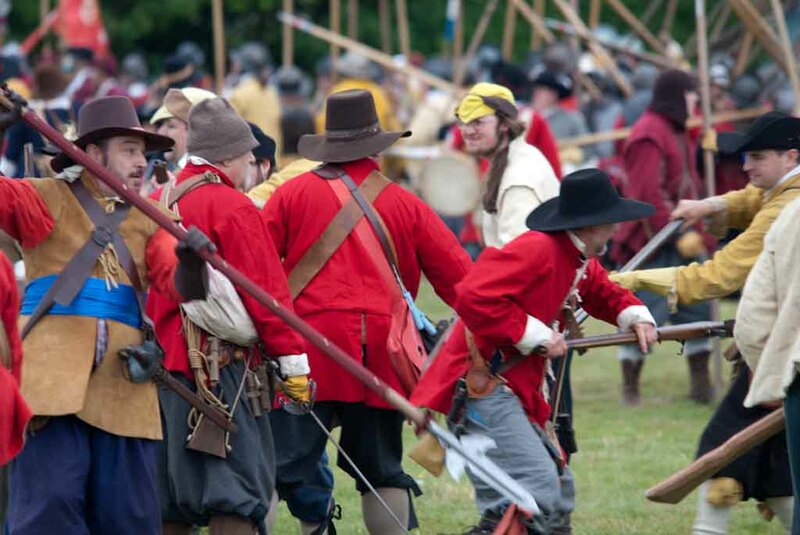 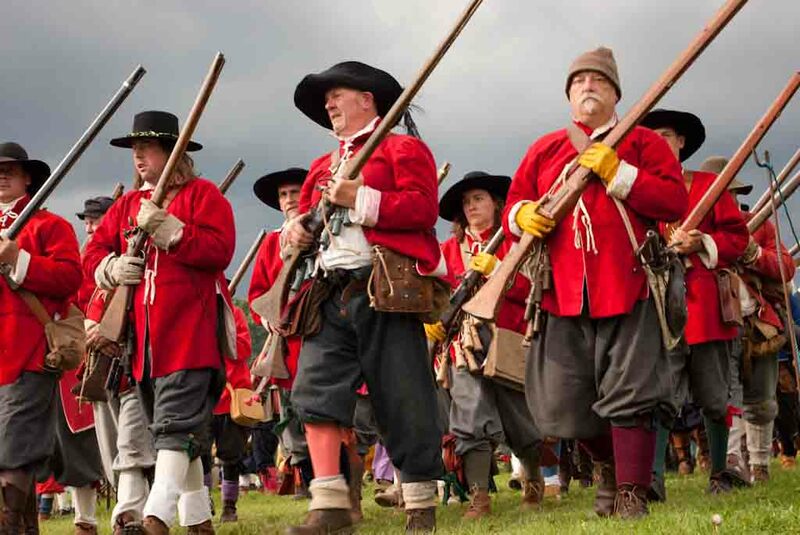 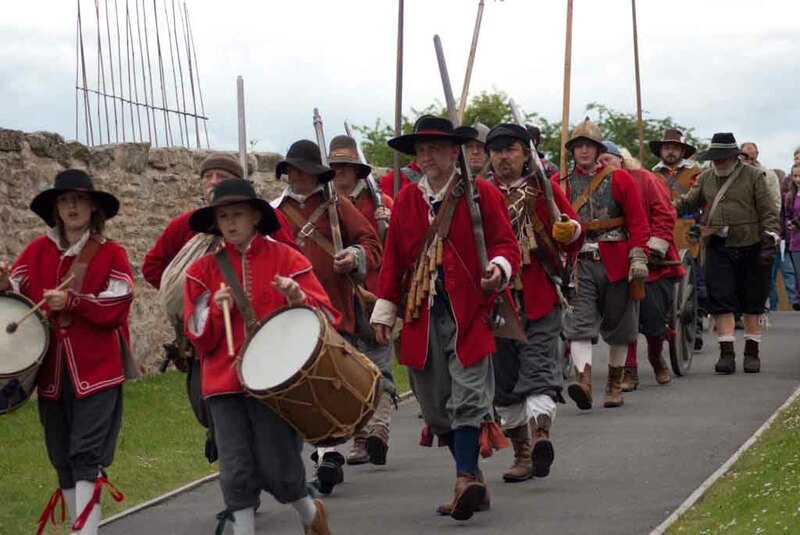 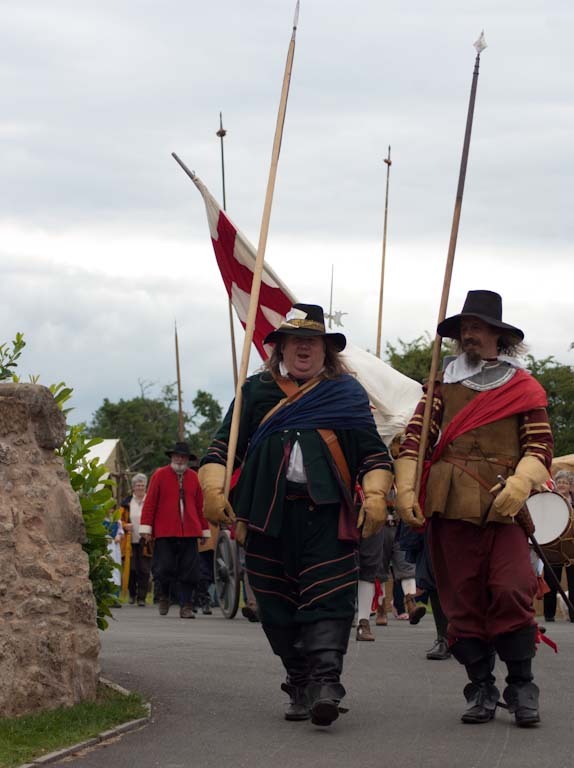 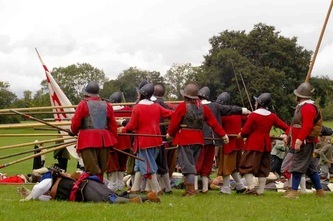 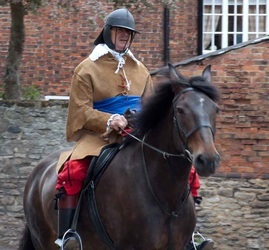 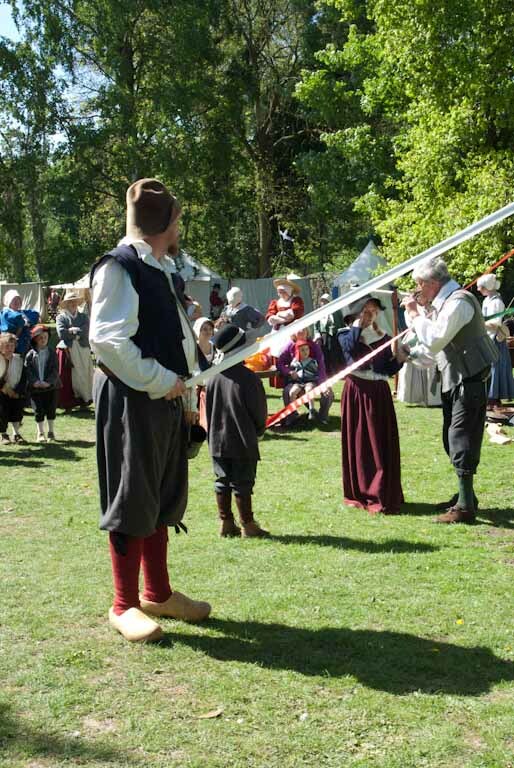 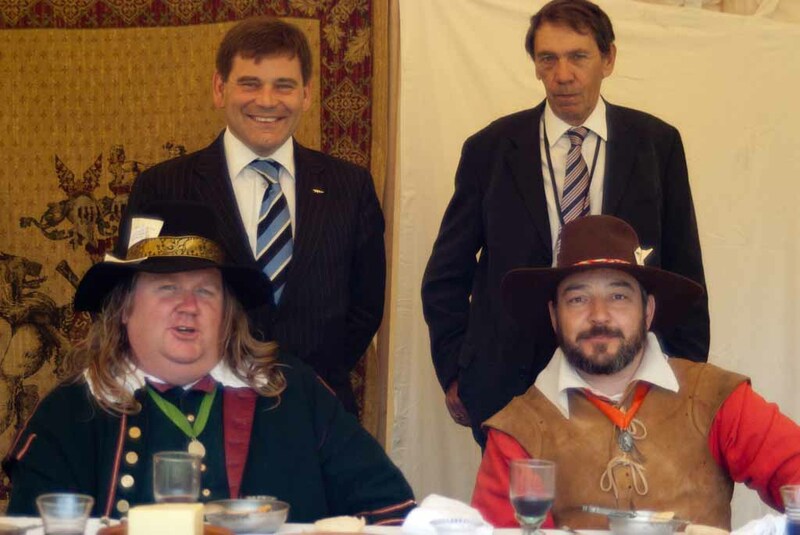 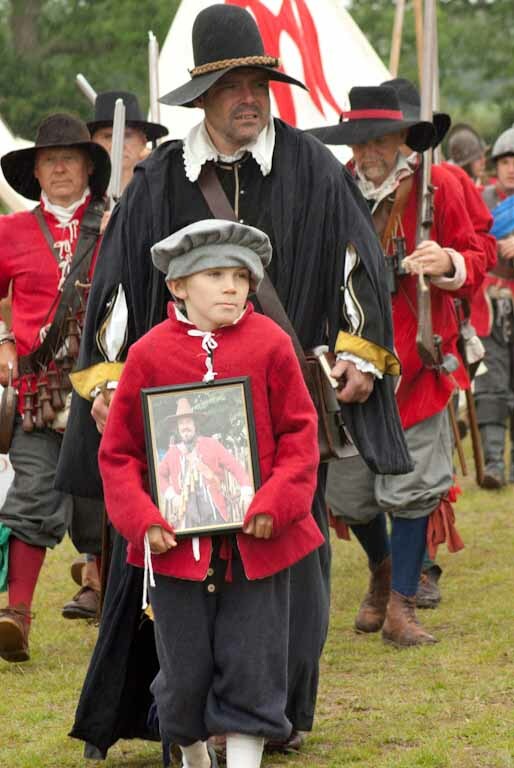 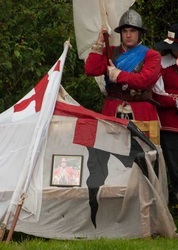 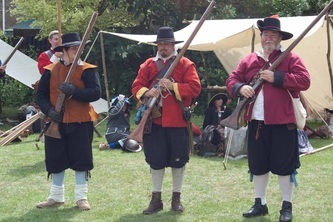 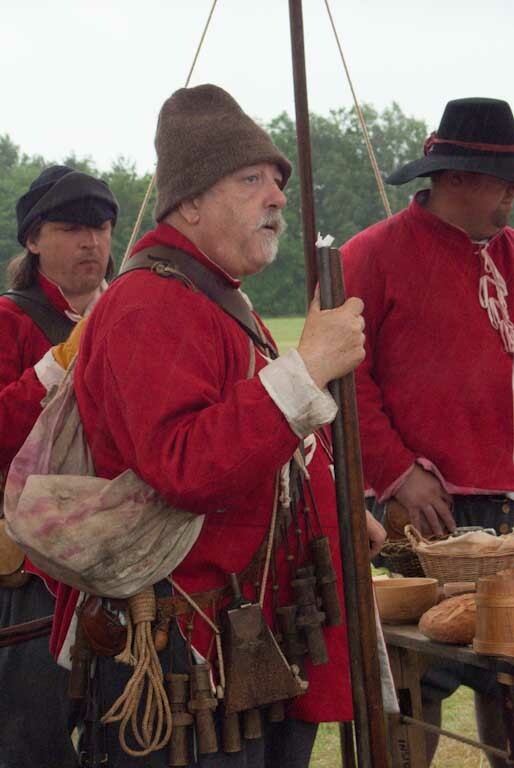 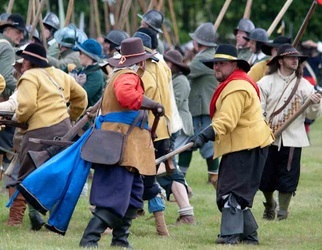 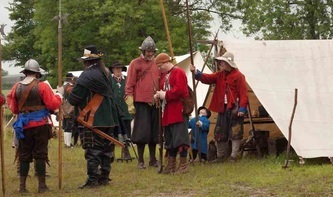 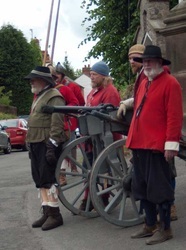 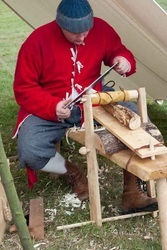 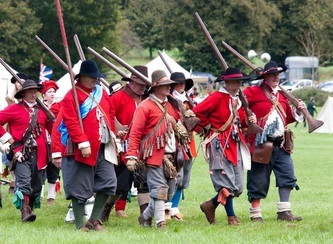 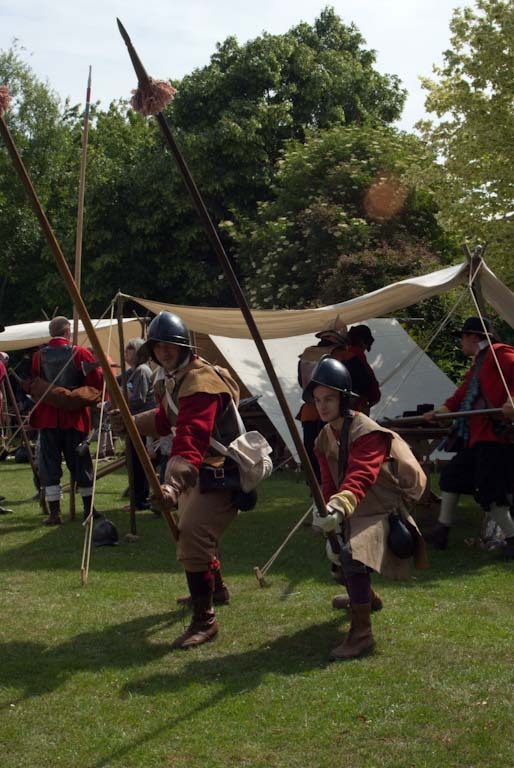 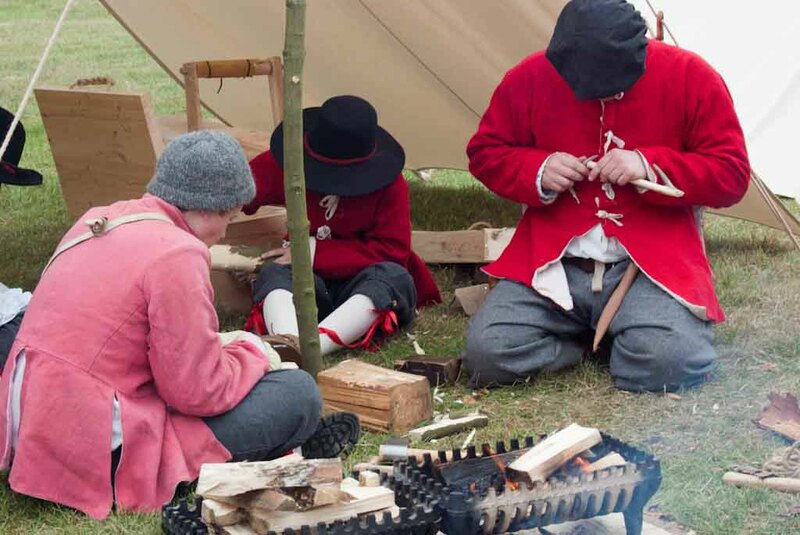 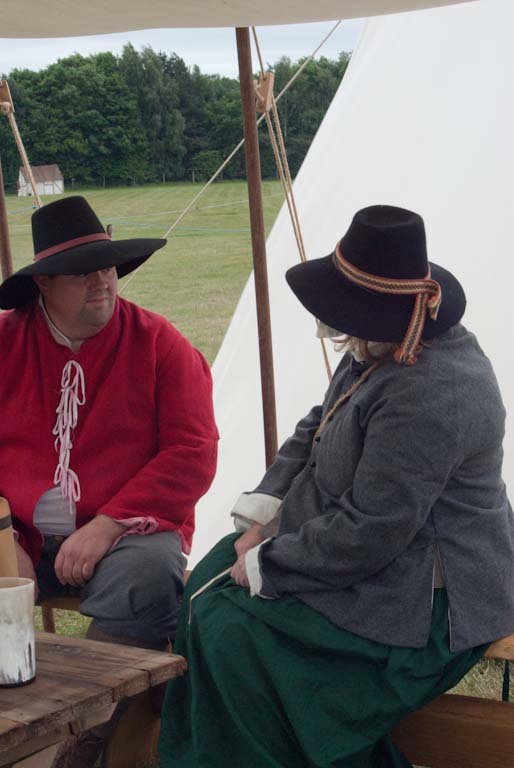 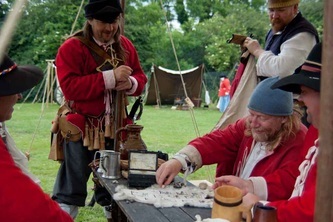 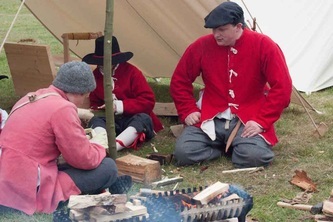 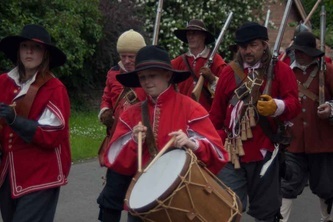 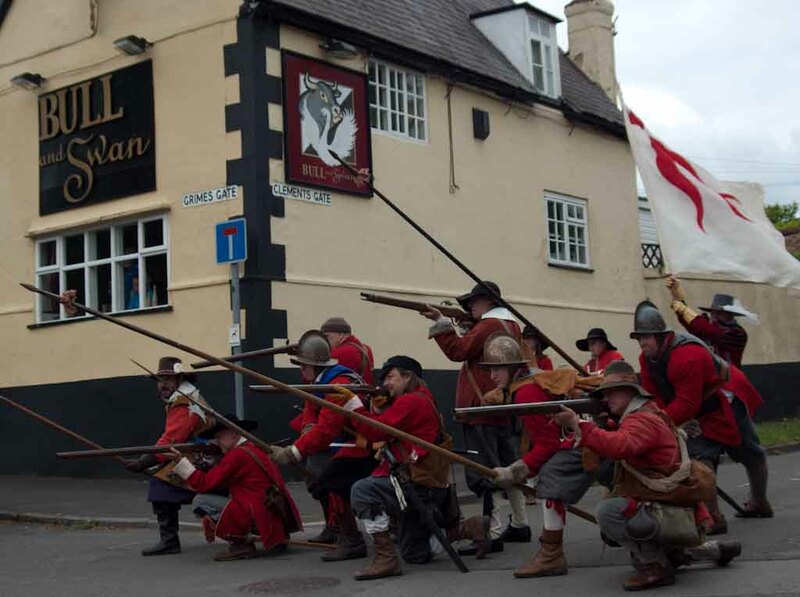 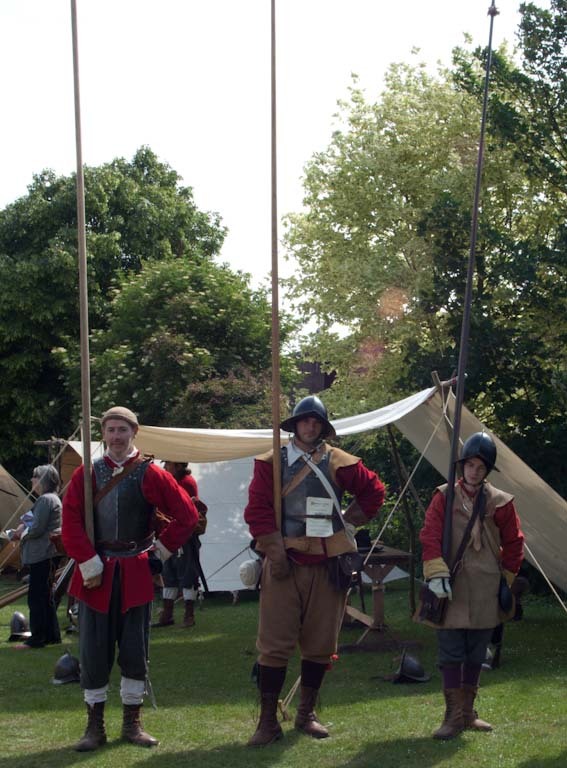 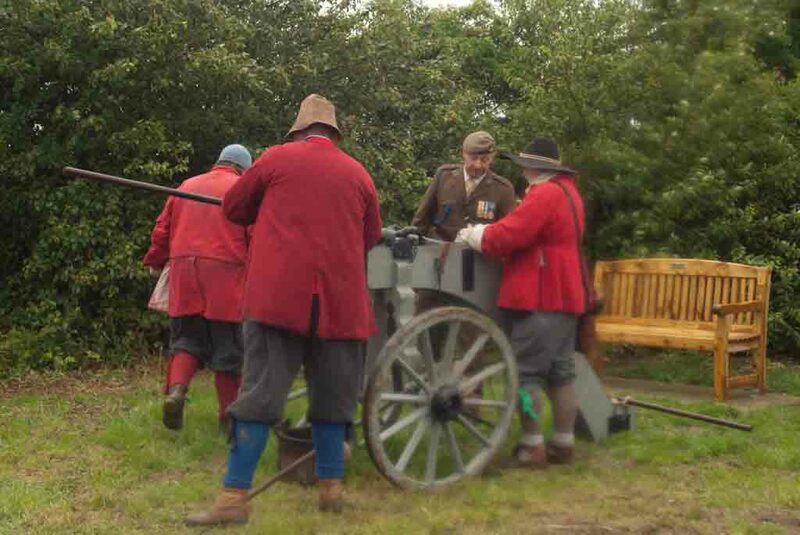 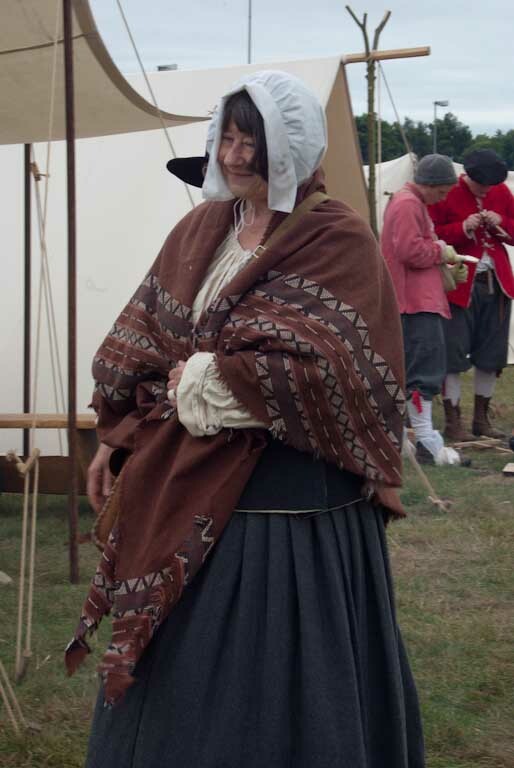 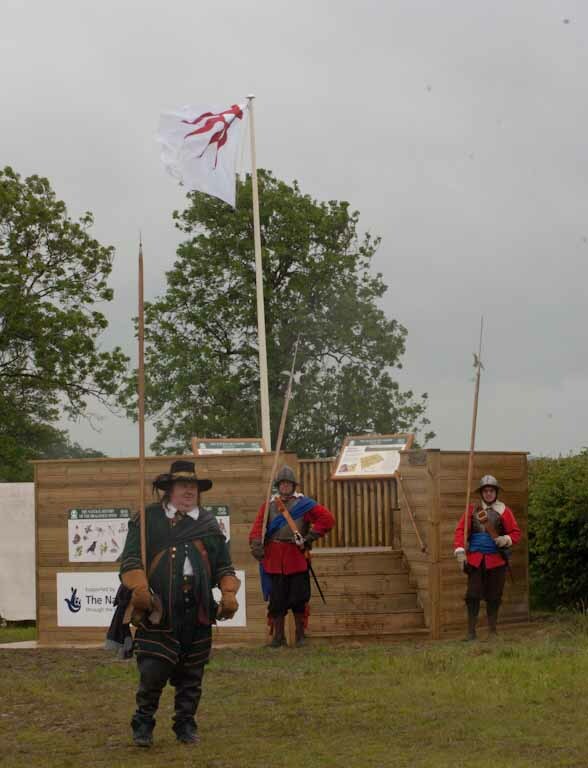 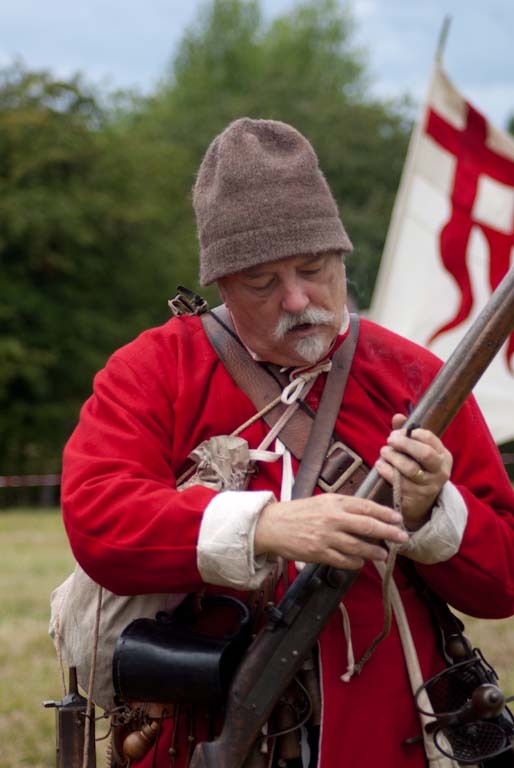 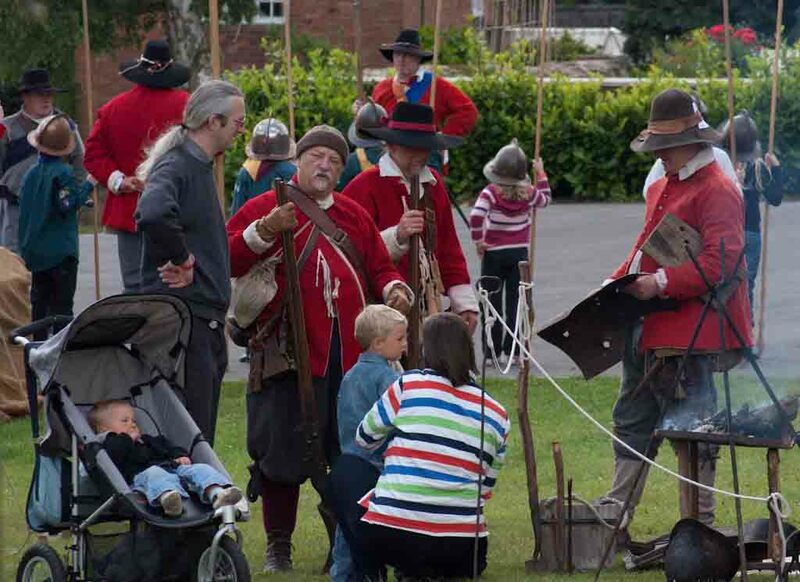 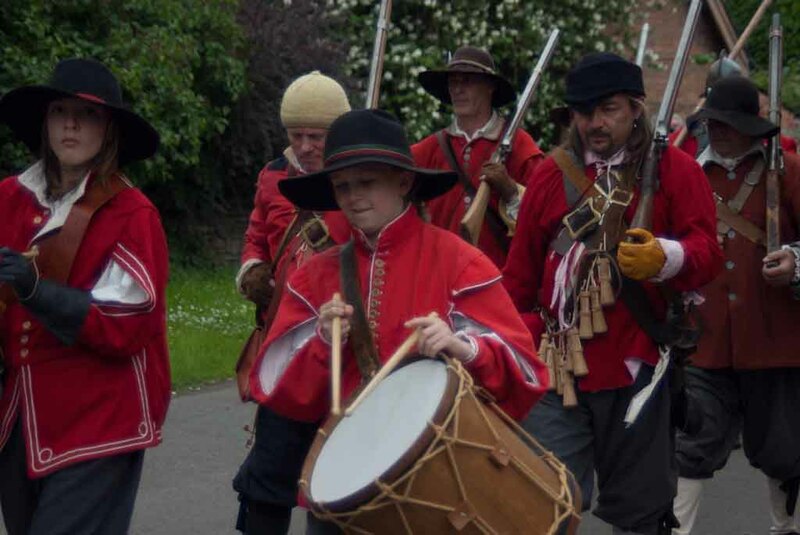 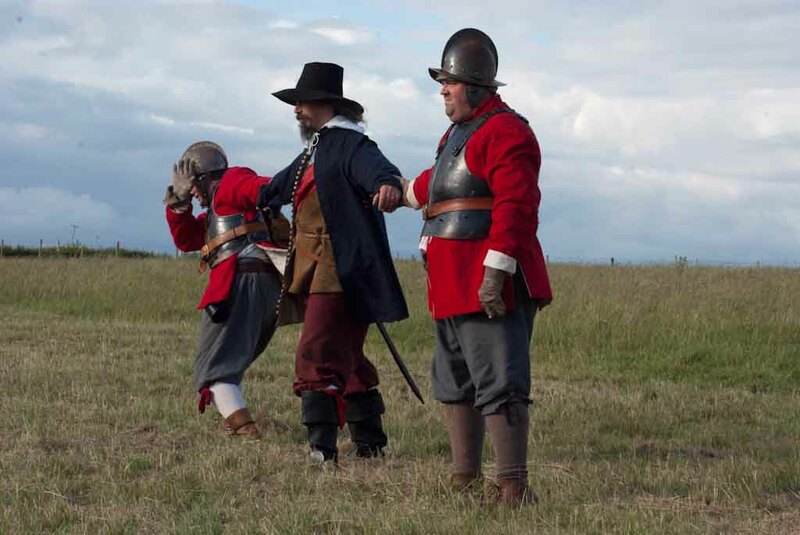 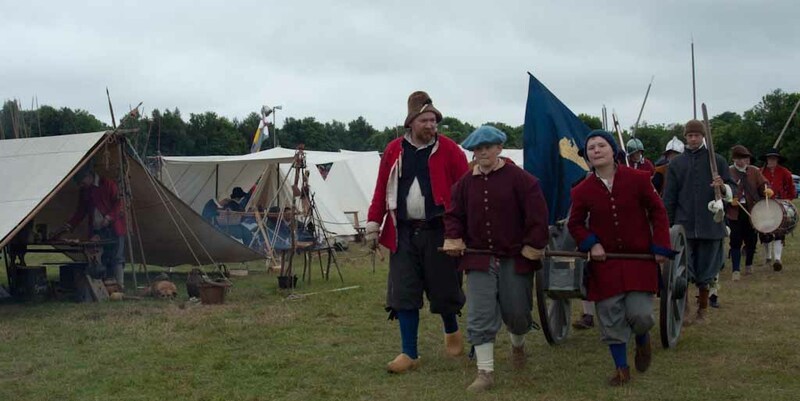 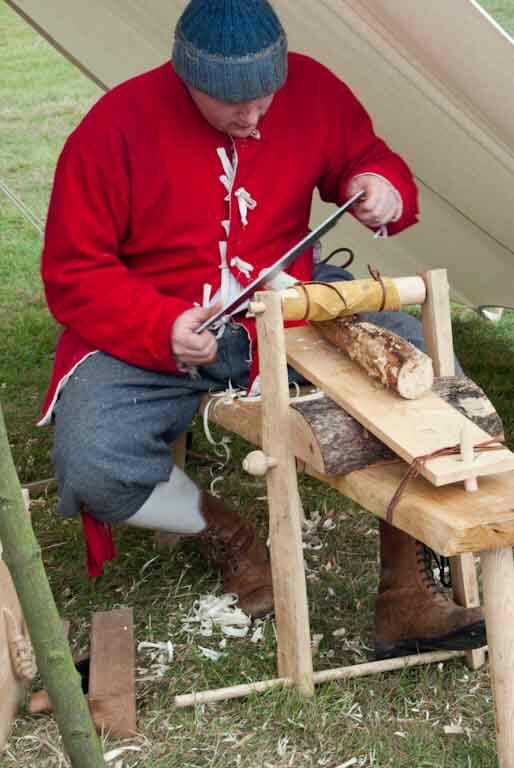 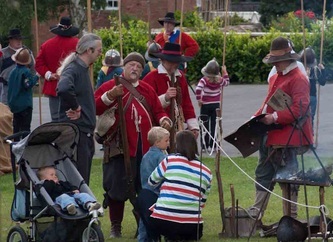 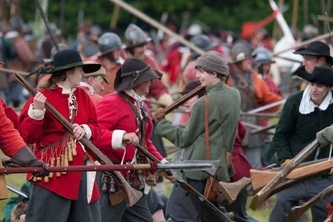 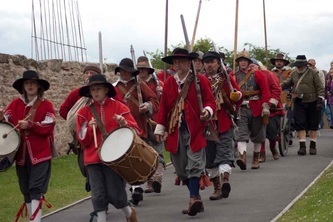 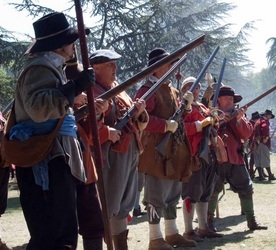 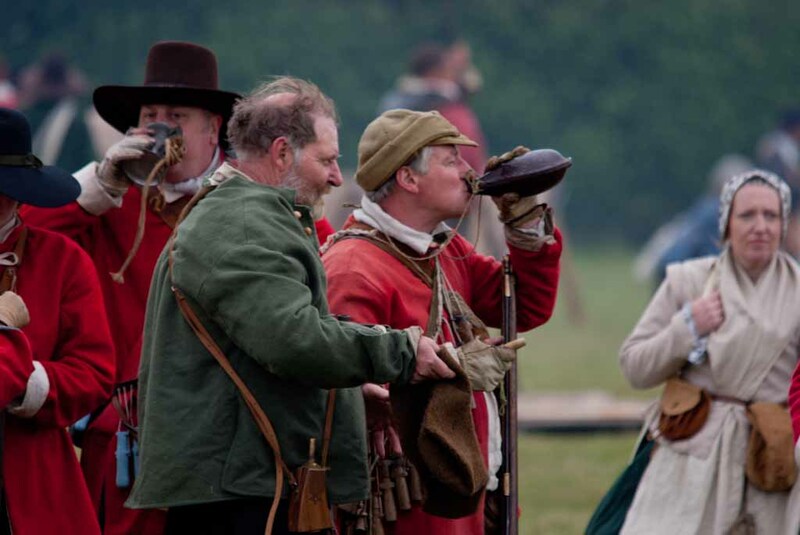 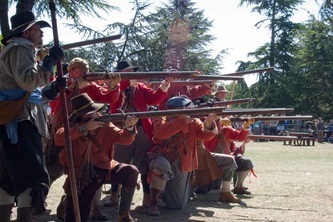 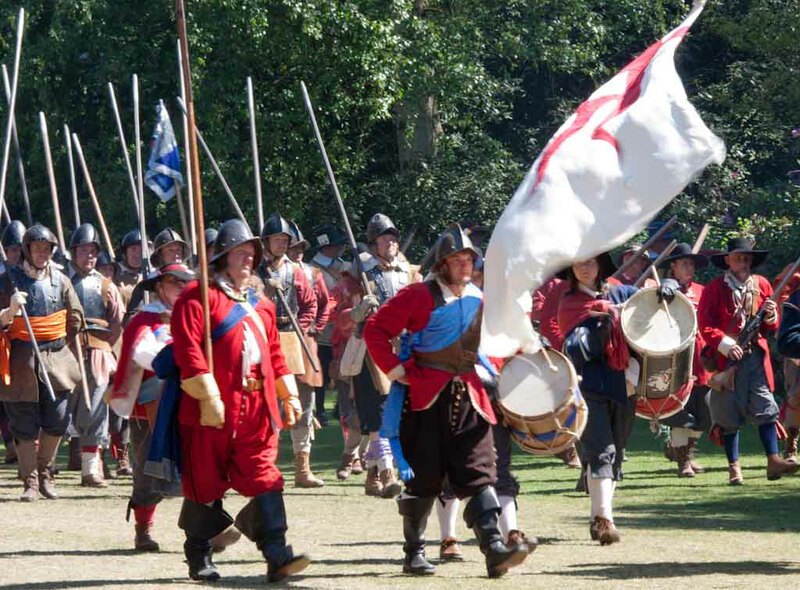 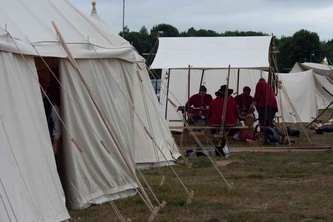 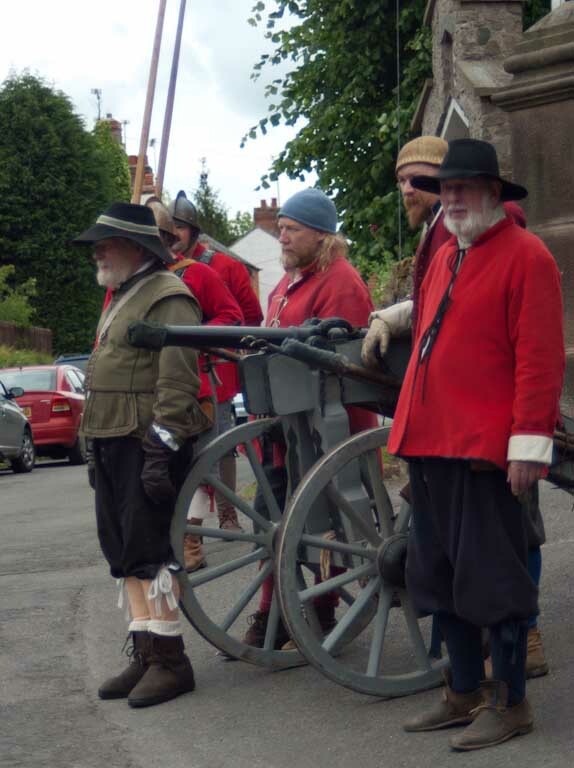 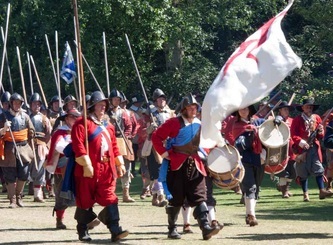 We also have to thank our friends in other Sealed Knot Regiments that also came along to support Hammond's Regiment. All of these pictures are under the copyright of Rusty Aldwinckle. We gathered at Sulby Hedges to remember our good friend Steven Harrison who passed away last year. 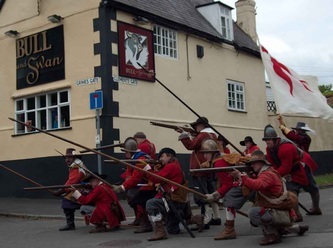 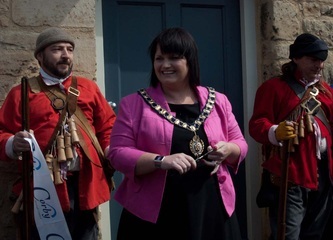 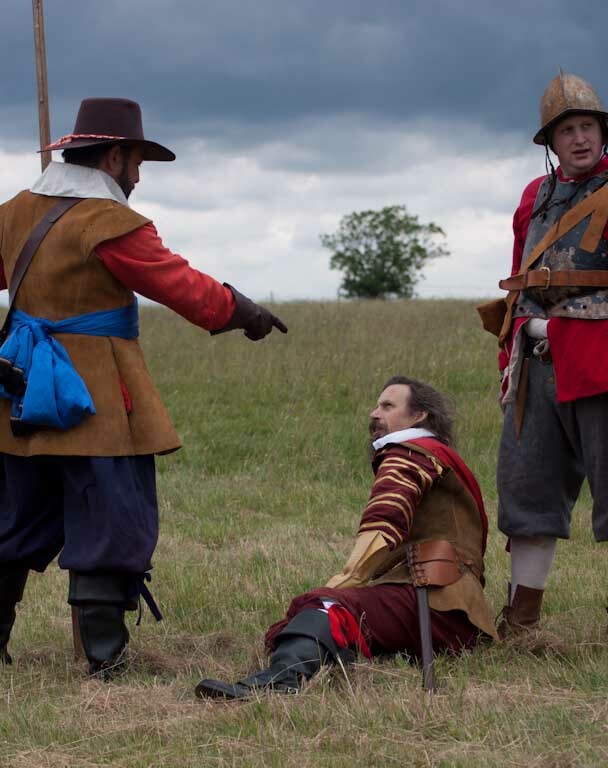 His family and friends have raised a collection which has paid for a bench to be installed at Sulby Hedges looking back at the Parliamentary lines, exactly aligned with the position that Hammond's Regiment took in 1645. In future we will be able to spend some time at that spot and remember our good friend. 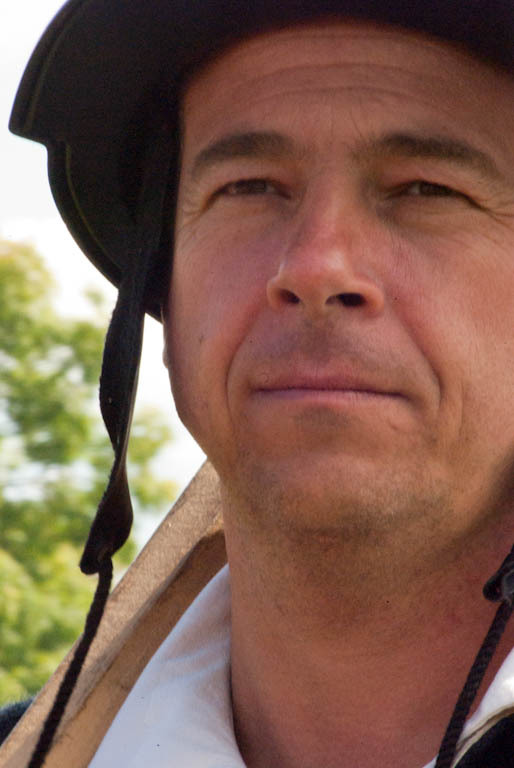 Steven Harrison - A Craftsman and a Gentleman. 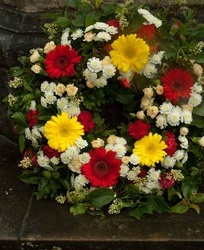 Always Remembered. 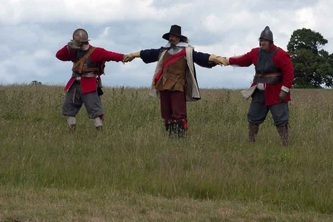 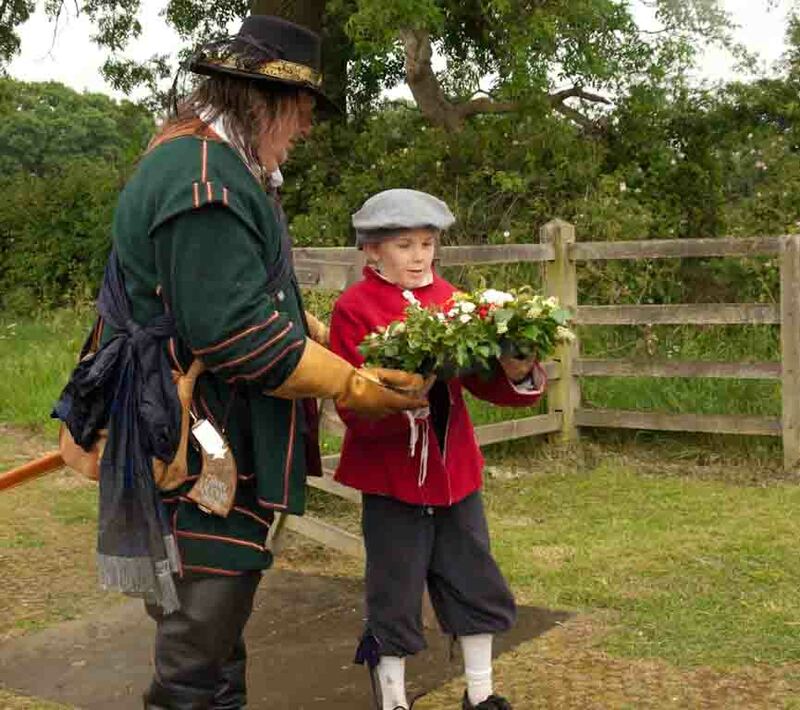 A few members of Hammond's Regiment broke away from the main camp and laid a wreath in remembrance of the fallen of the battle in 1645. 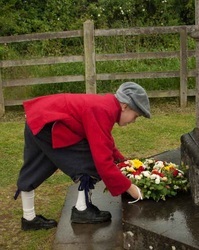 One of our younger members laid the wreath bringing the importance of remembrance to another generation. All photographs are the copyright of Rusty Aldwinckle. This was a very enjoyable event despite the weather! 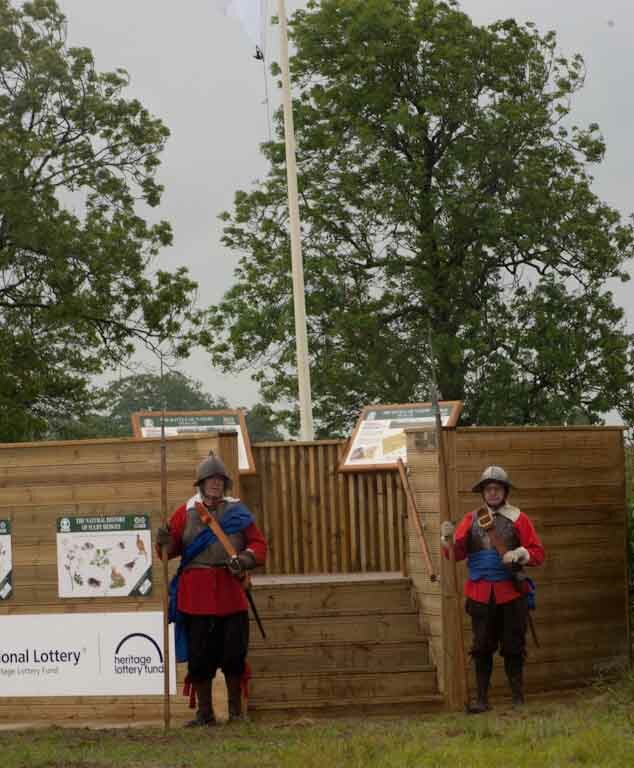 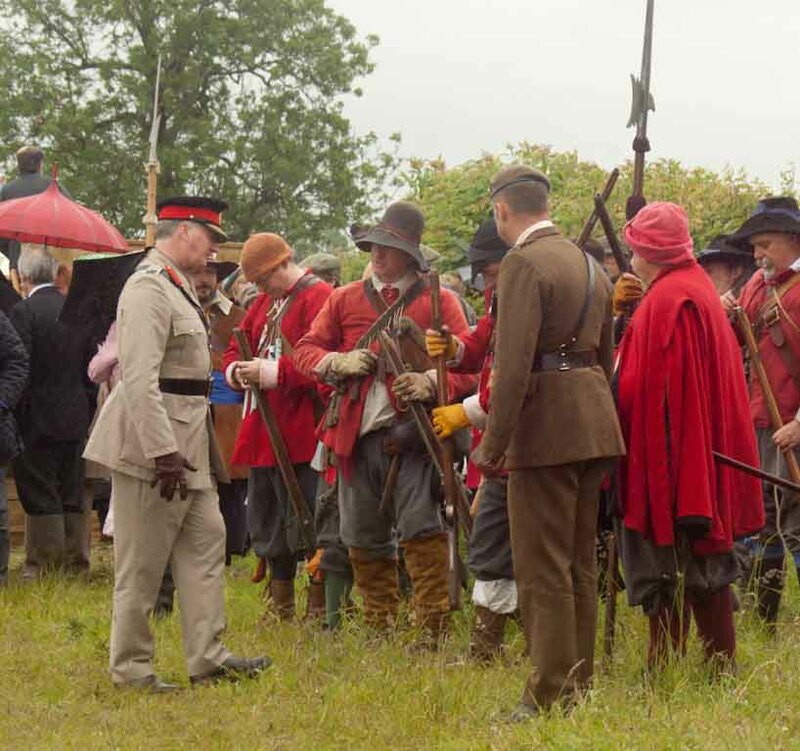 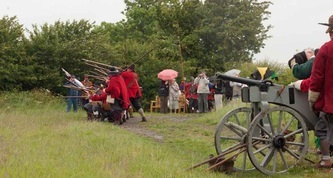 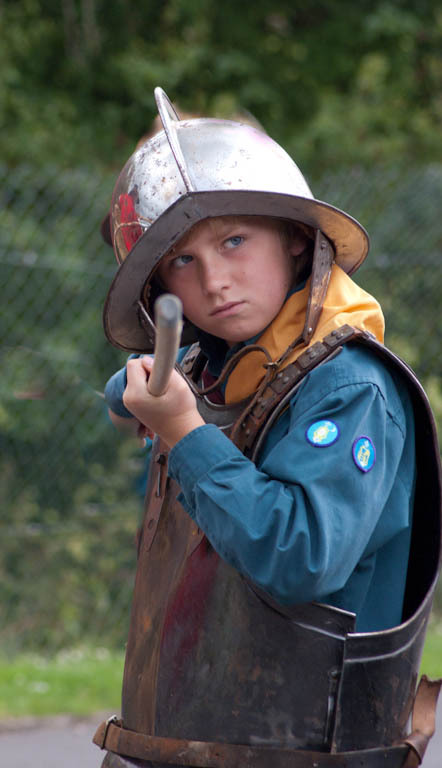 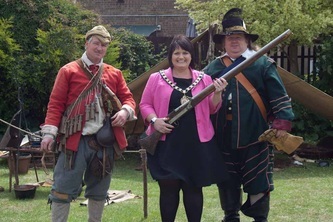 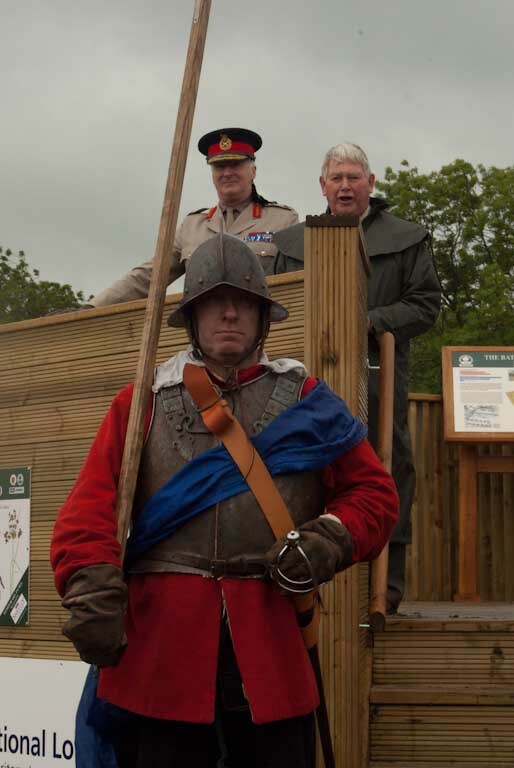 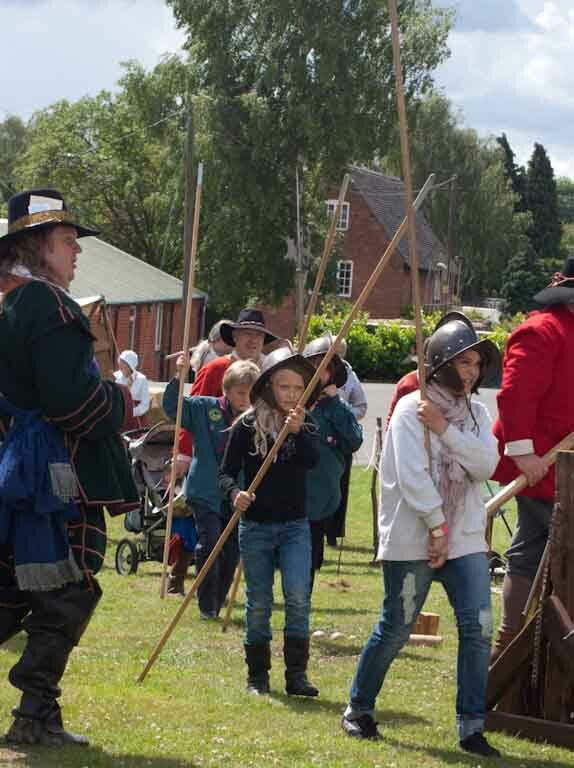 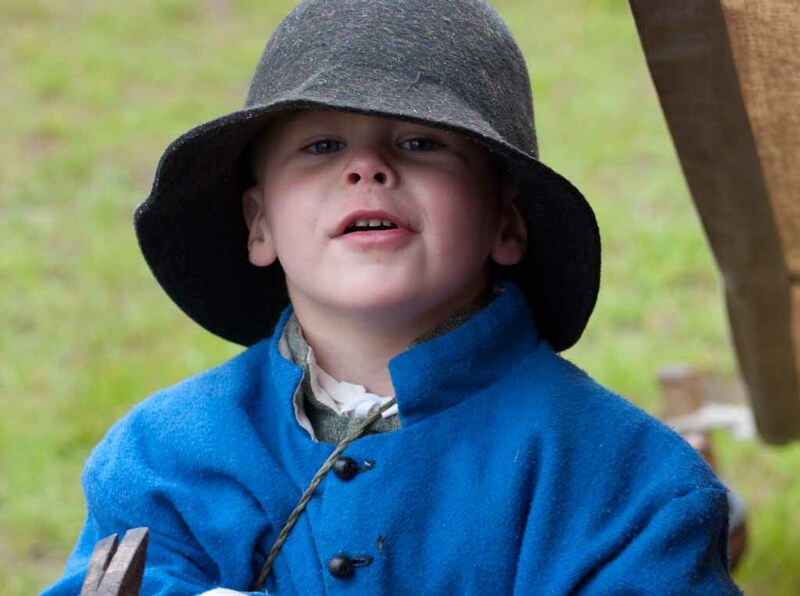 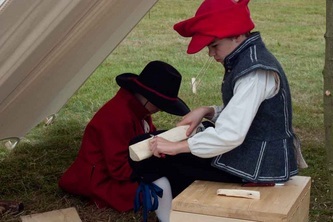 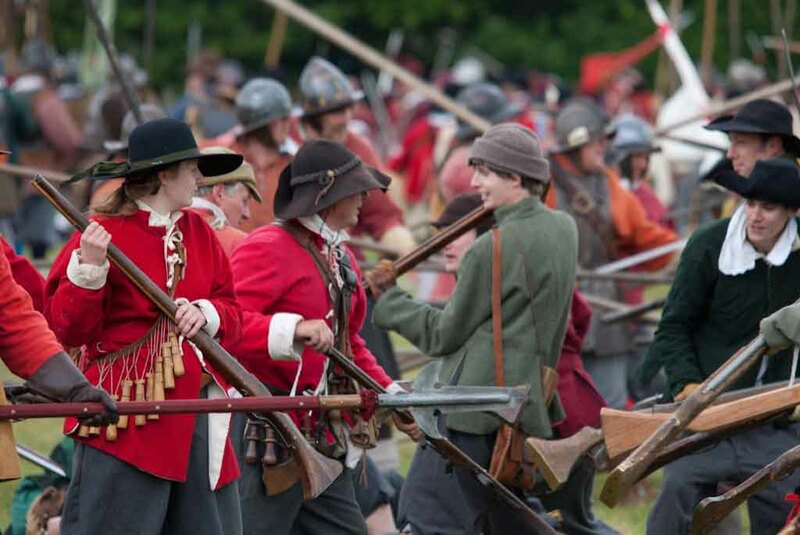 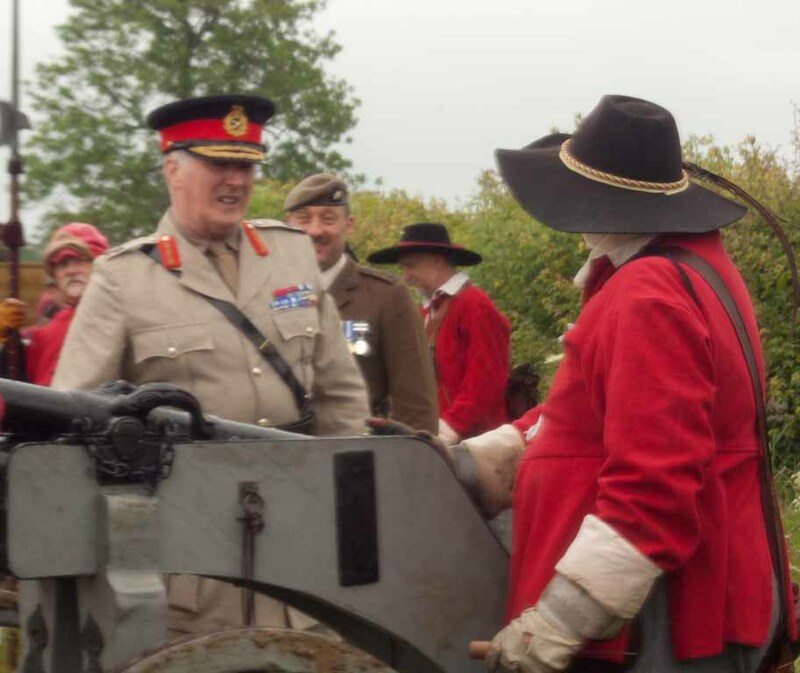 We supported Benefactor's Day arranged by the Naseby Battlefield Project, and arranged a Living History Camp, and soldiers to form an Honour Guard for their distinguished guests. 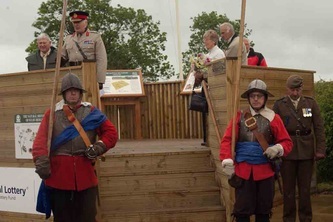 The Opening Ceremony was conducted by Lord Naseby and the viewing platform opened by Lieutenant-General Jonathon Riley, Director General & Master of the Armouries. 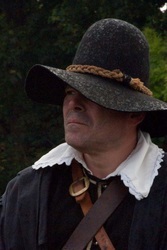 All photographs are the copyright of Rusty Aldwinckle. 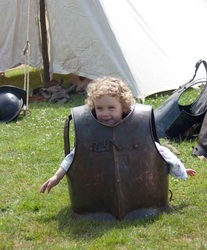 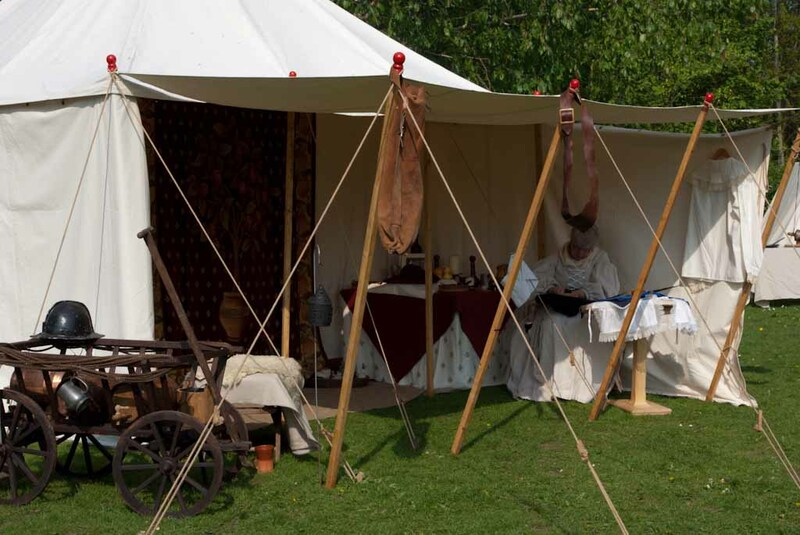 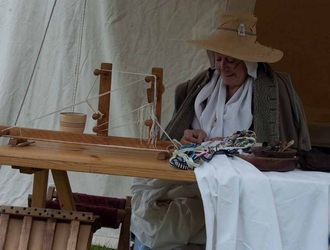 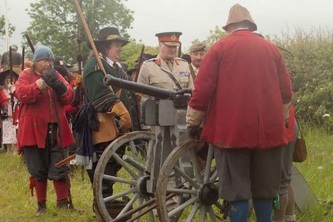 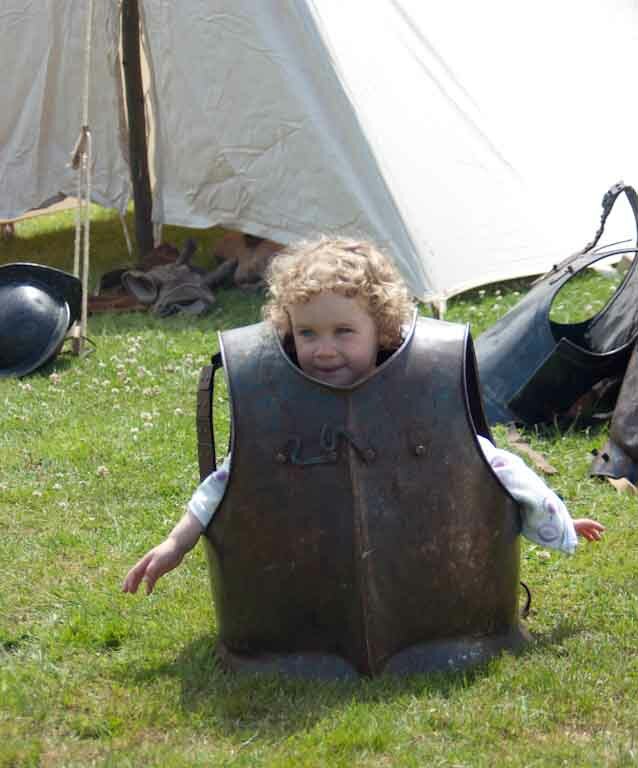 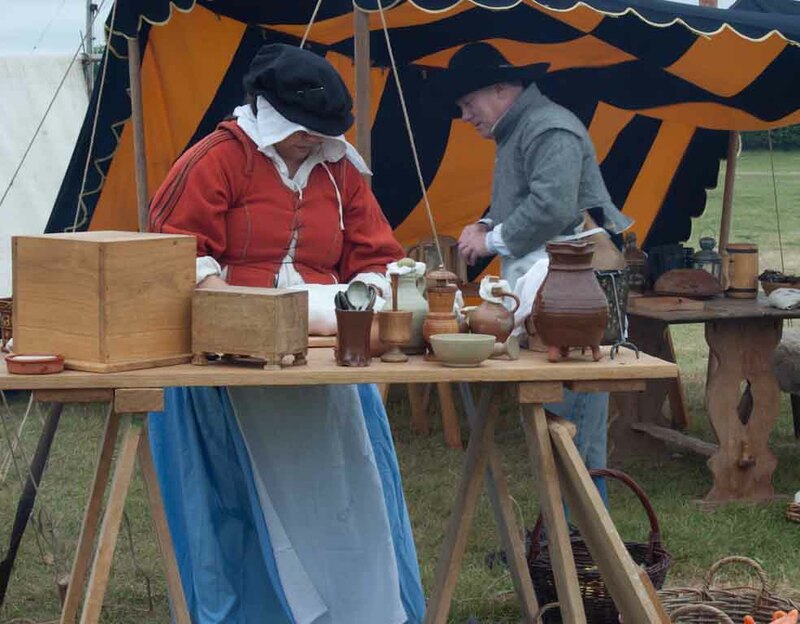 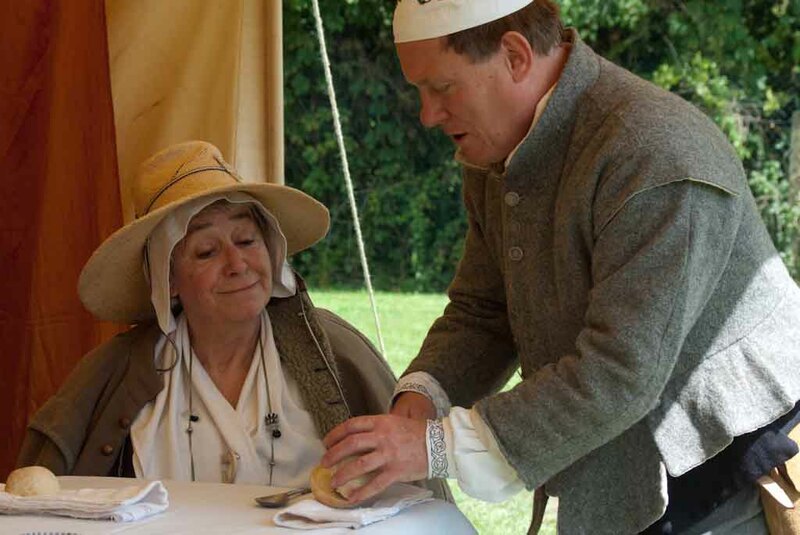 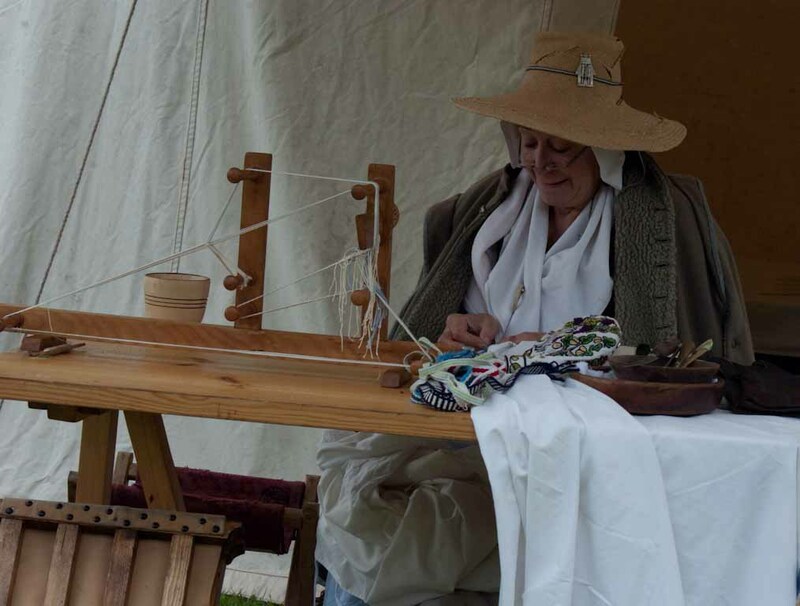 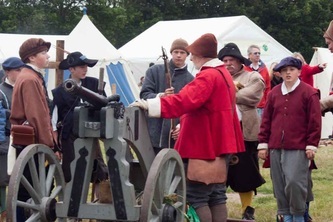 We had a fantastic weekend with lots of new friends at Diseworth on the Leicestershire border, and Hammonds would like to thank all of the members of other regiments that also supported the event. 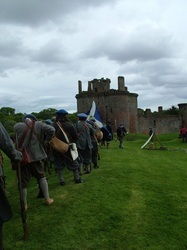 Everyone played a crucial part in making the event a great success. 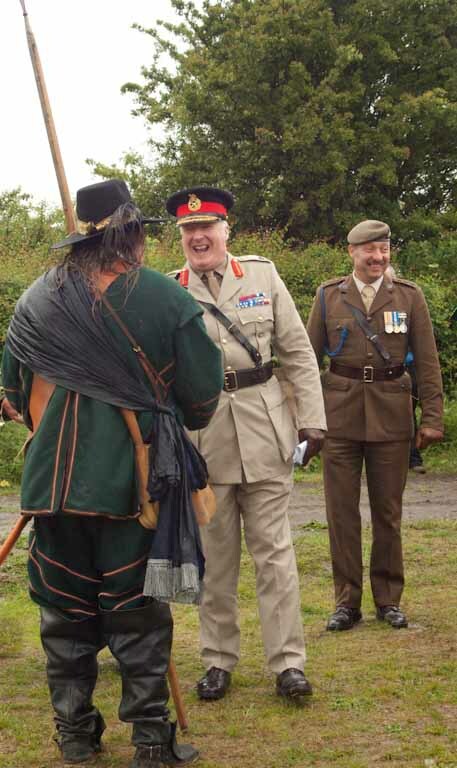 Well done to everyone who took part - you did the regiment proud! 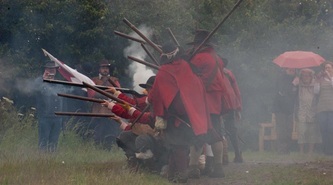 All photographs are copyright of Rusty Aldwinckle. 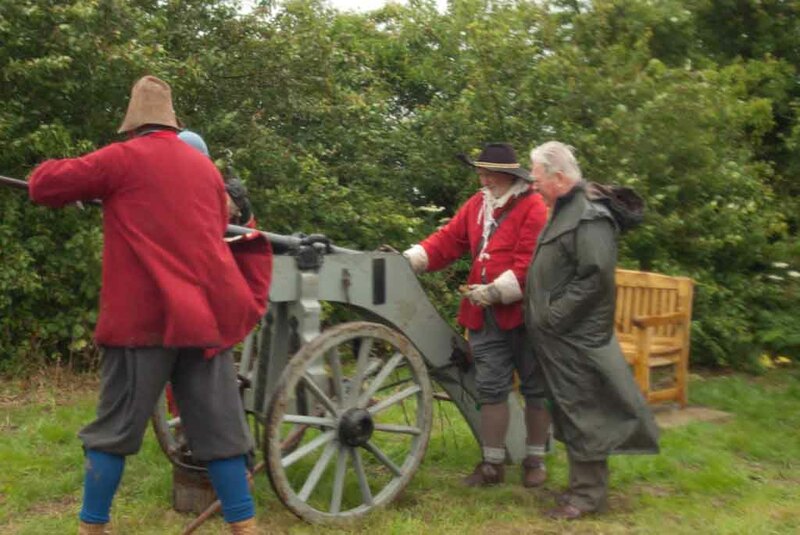 Loseley saw the biggest Hammond's turnout ever!